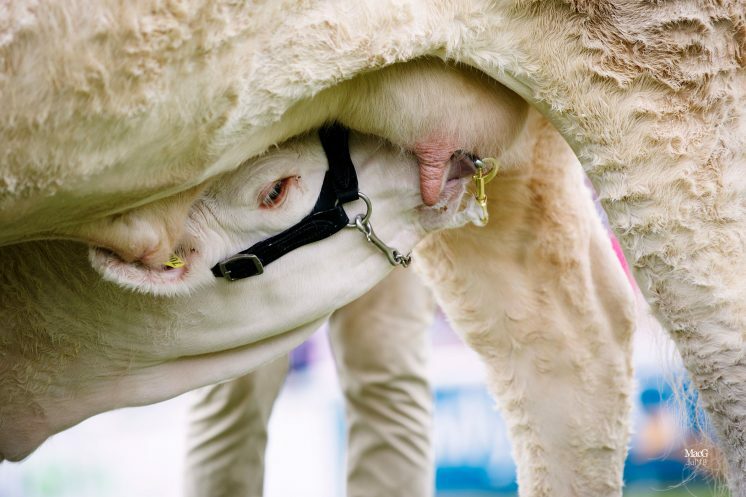 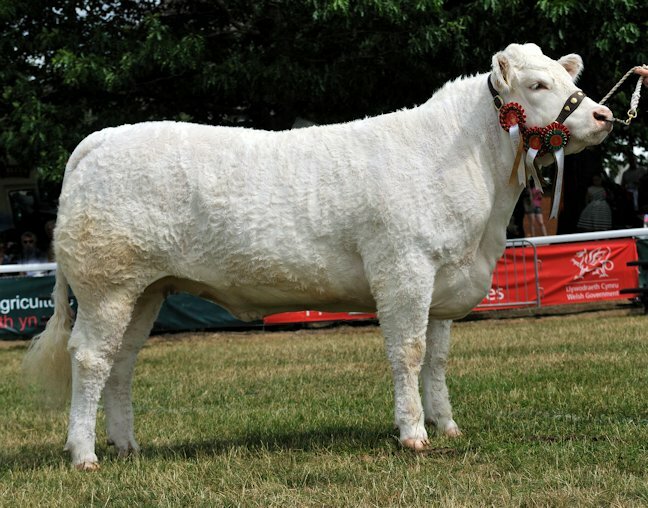 Class 427 – COW, in milk or in calf, born on or before 31 Dec 2012. 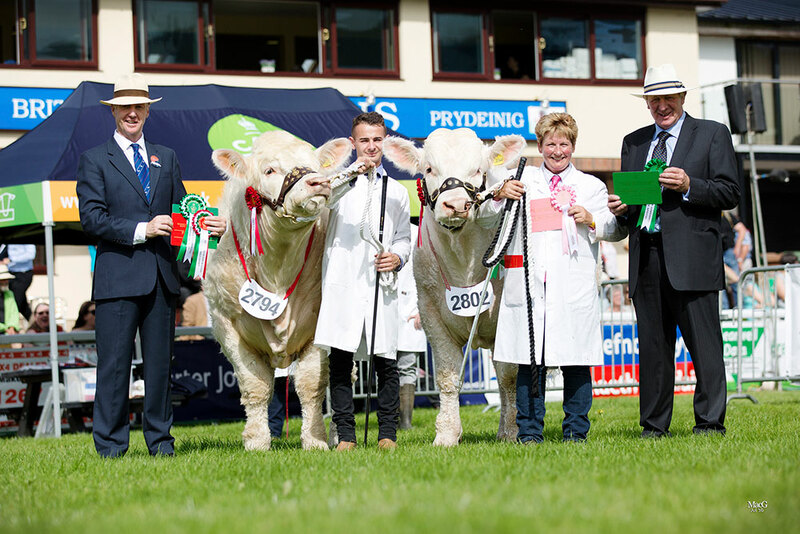 The junior heifer champions were Anthony Mould’s Moulais Jamelia and Mrs SM Corbett & Daughters Teme Jello shown by Grace Corbett. 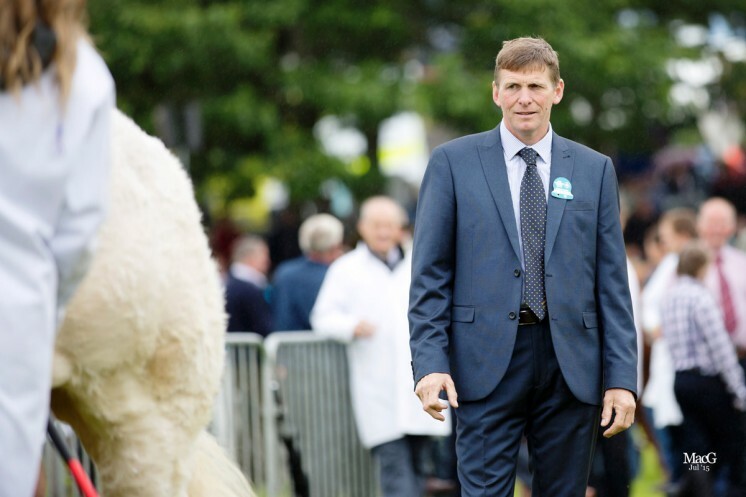 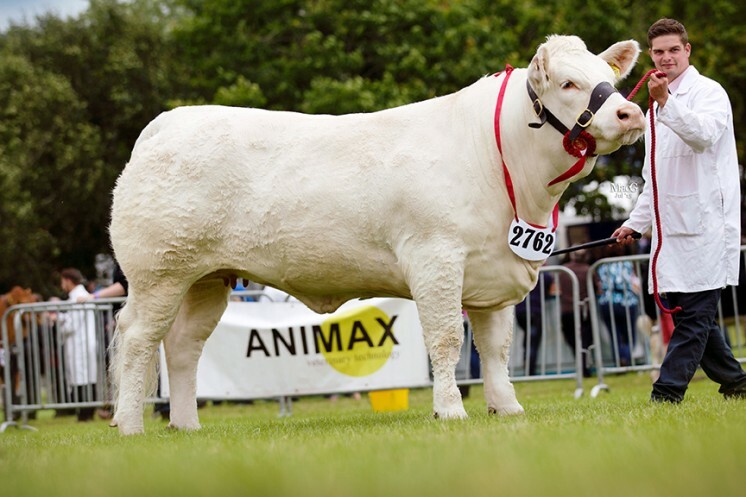 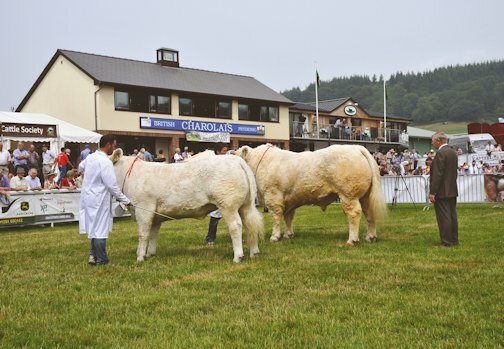 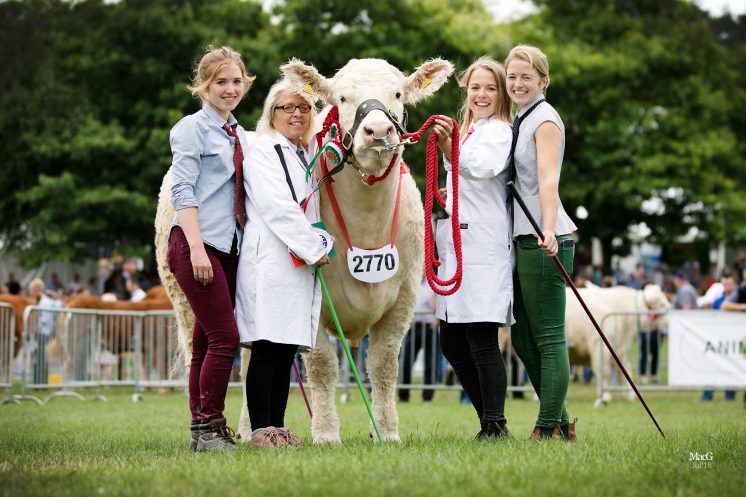 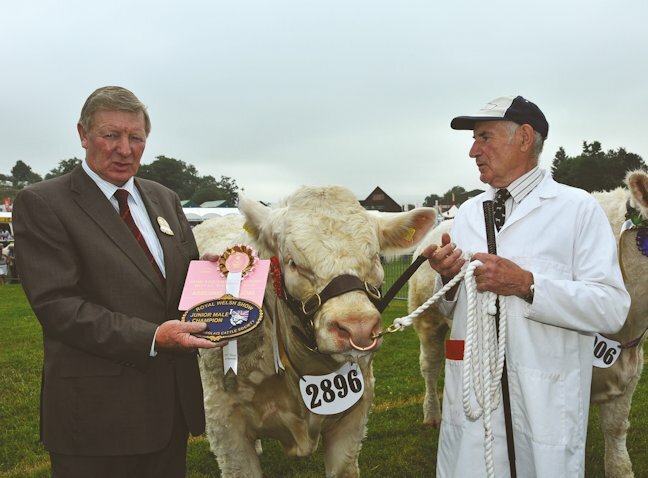 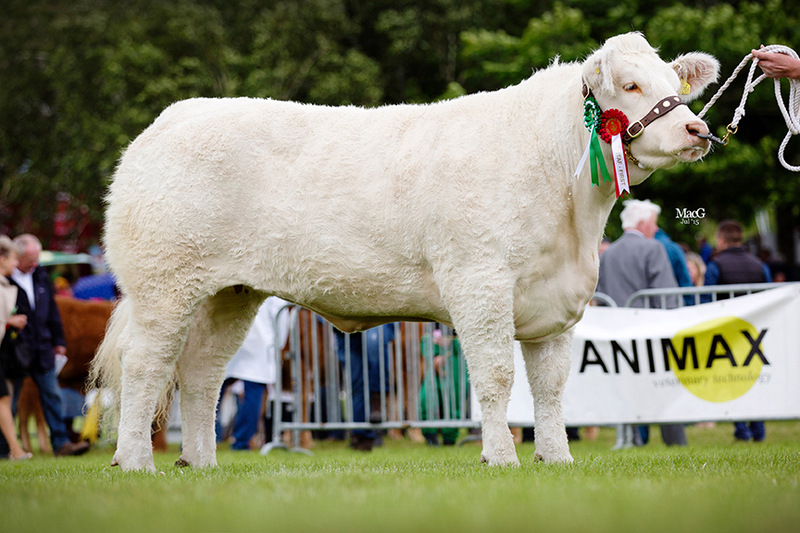 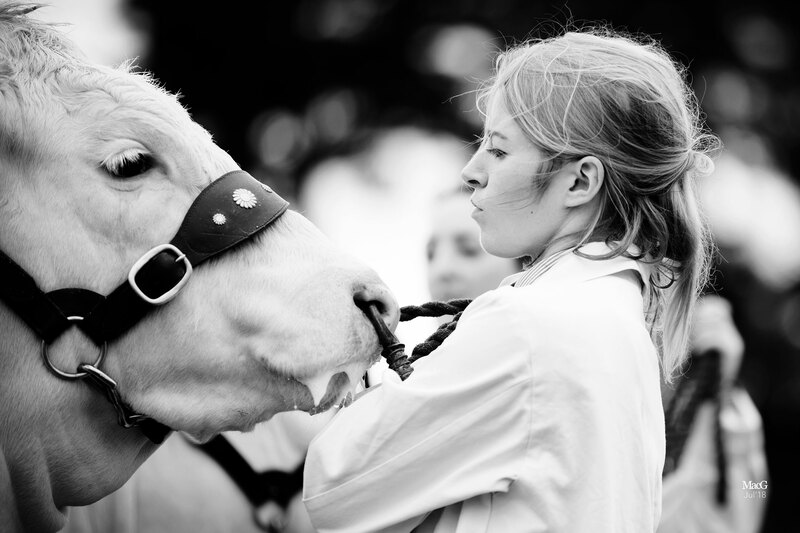 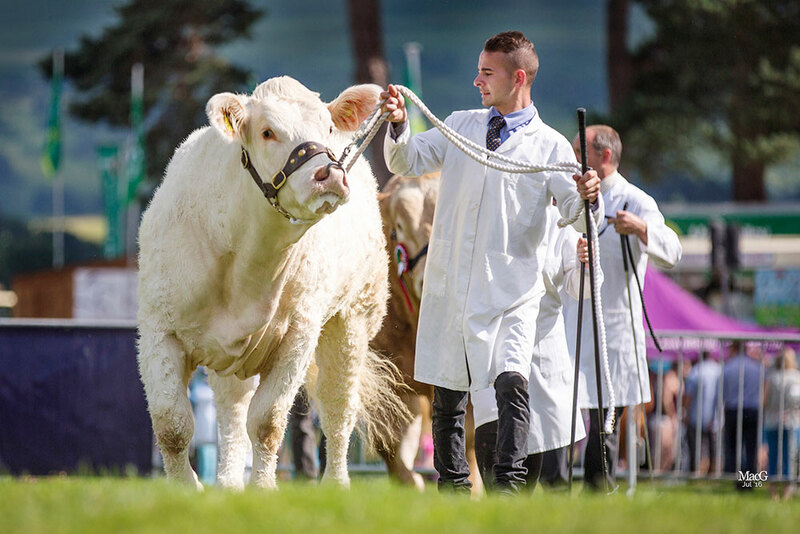 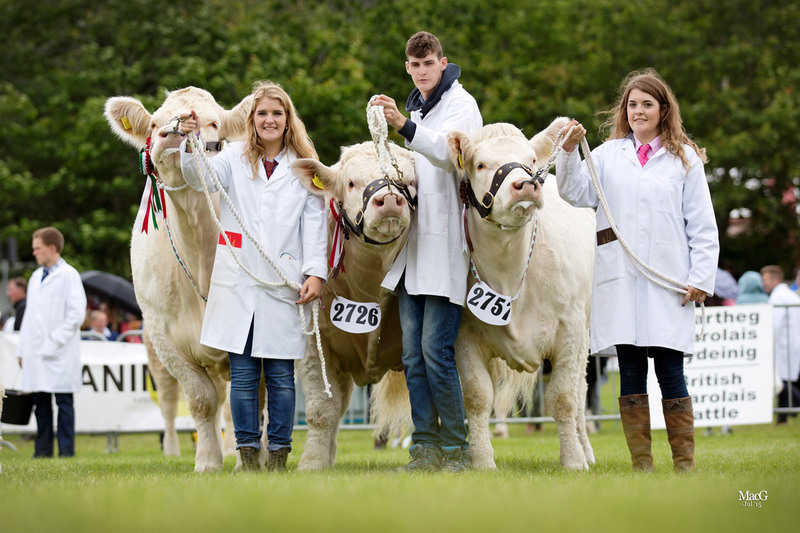 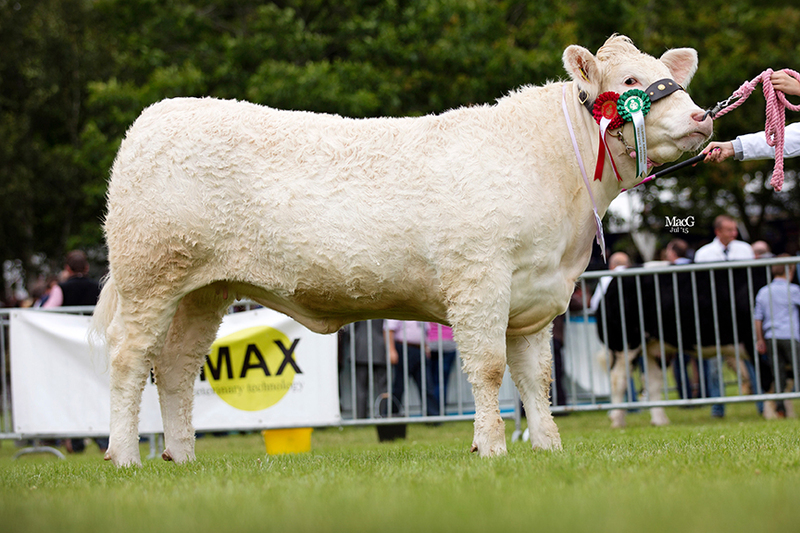 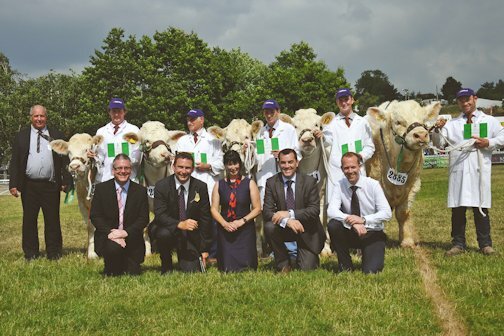 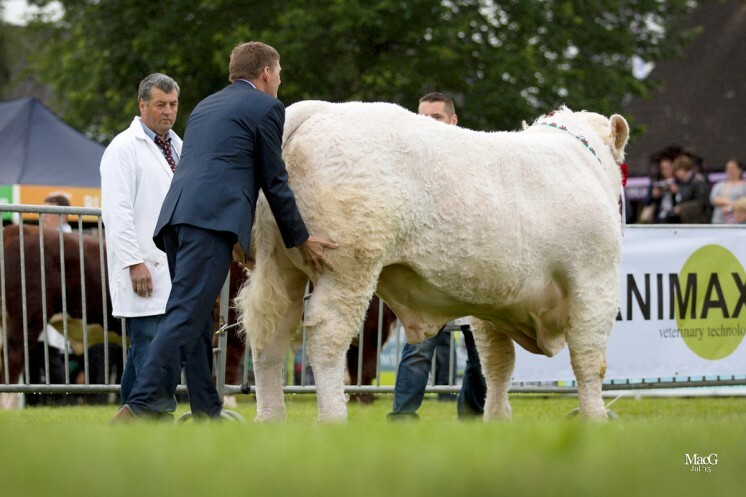 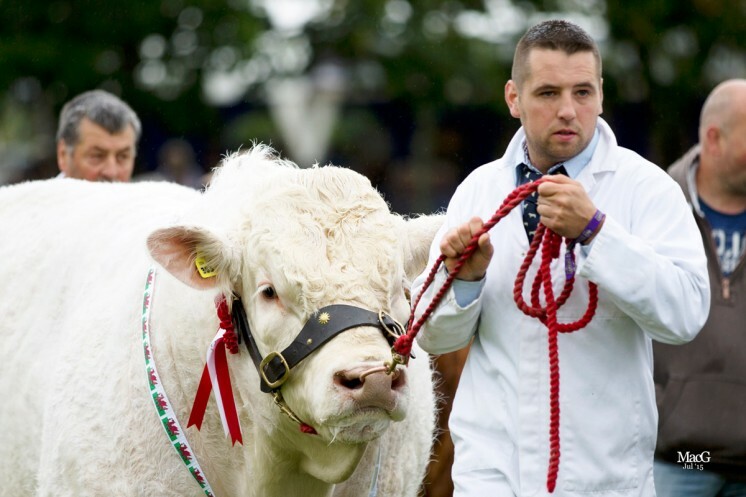 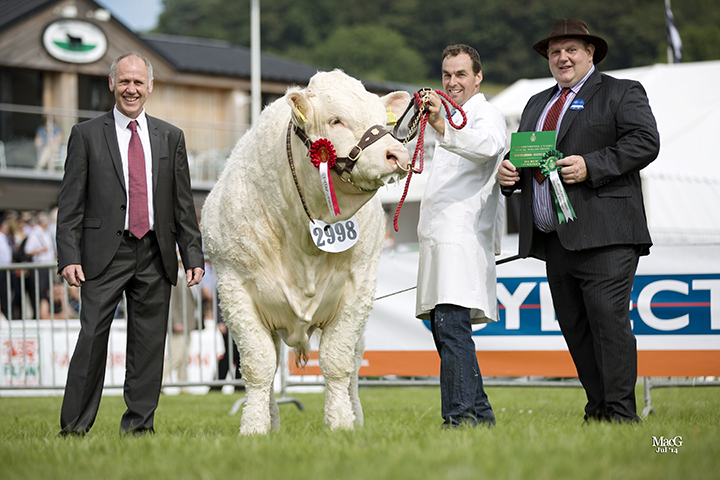 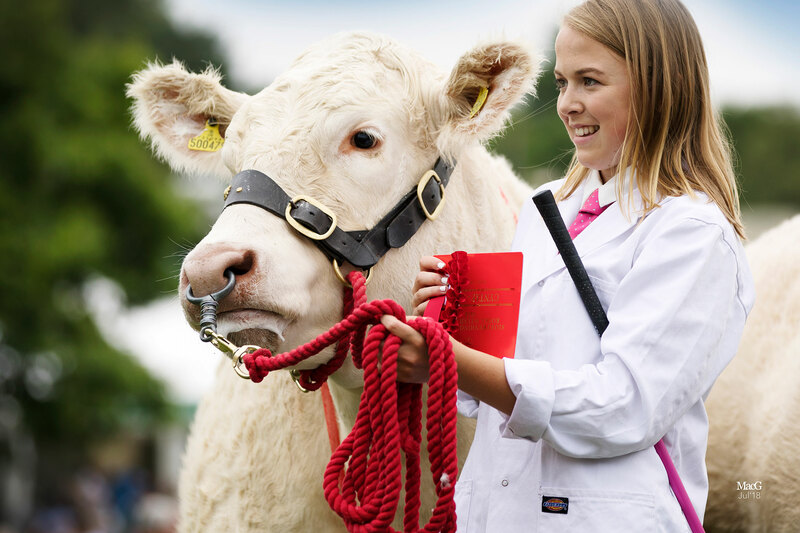 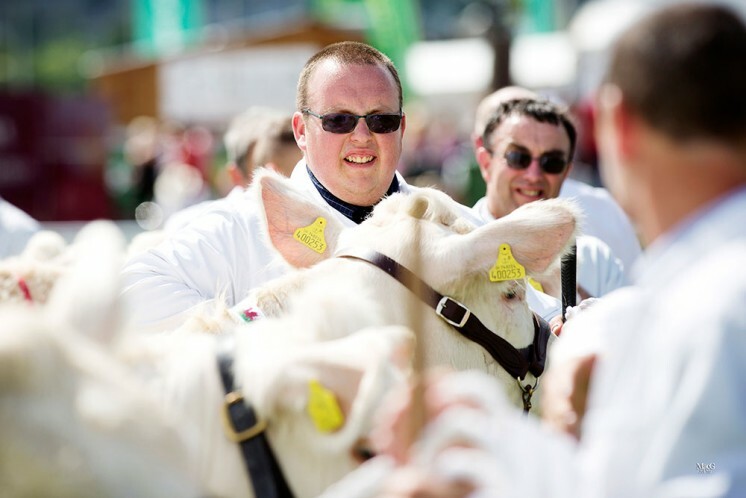 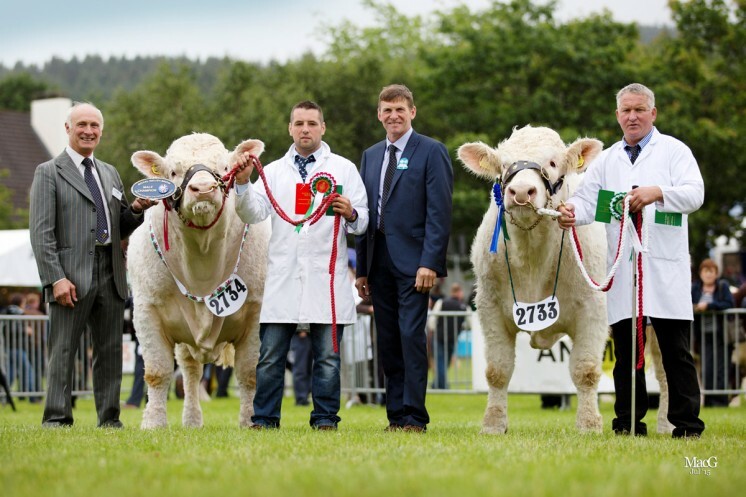 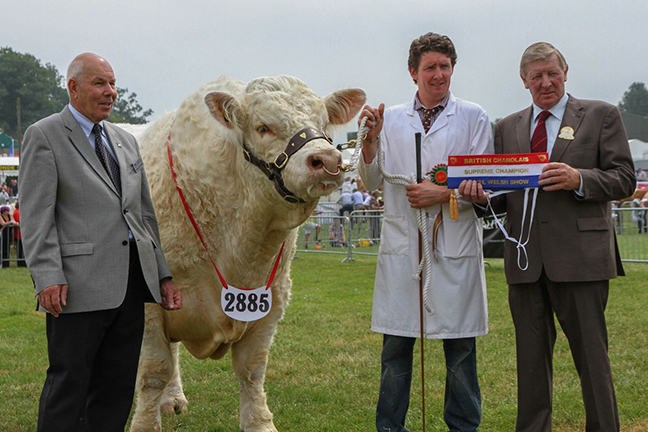 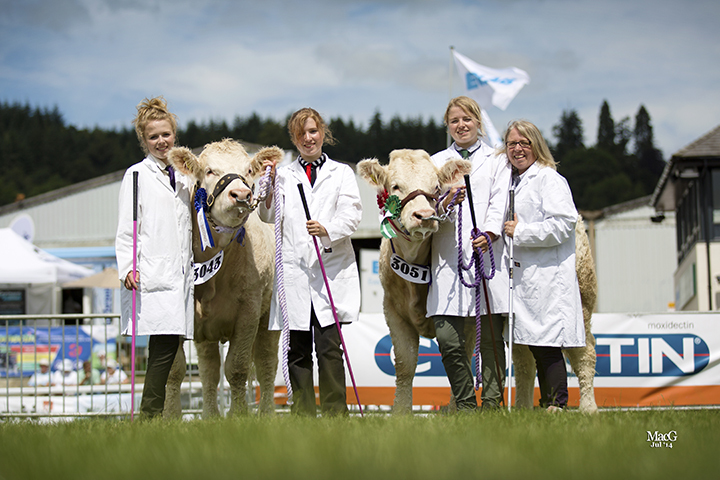 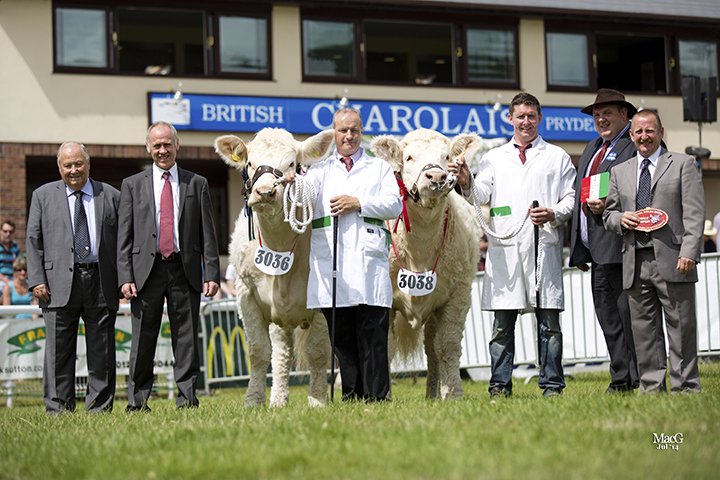 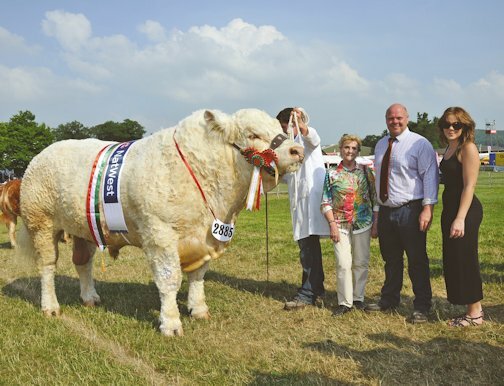 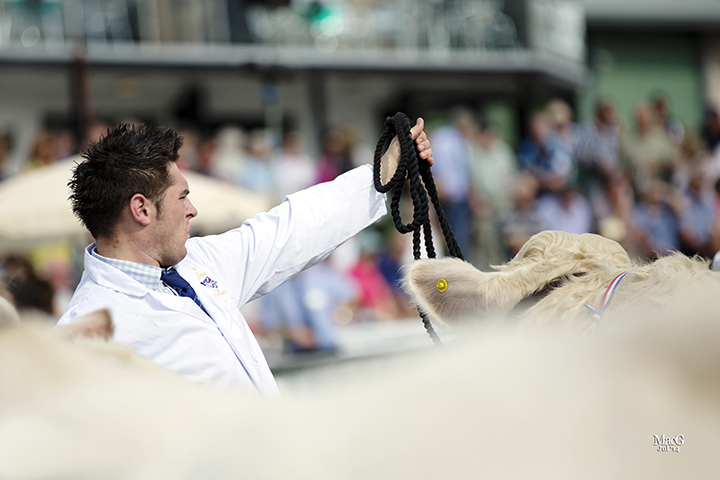 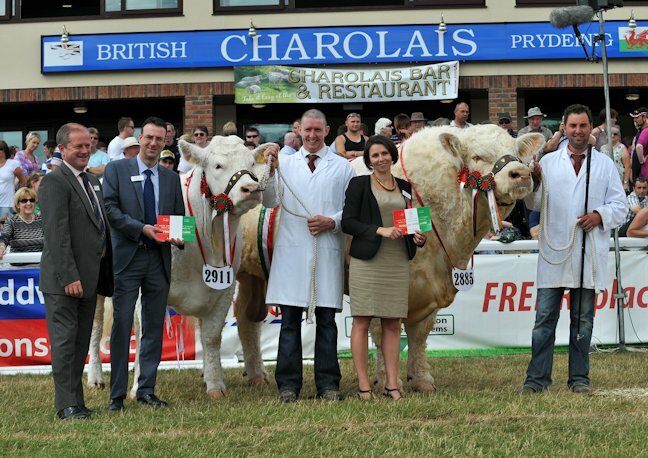 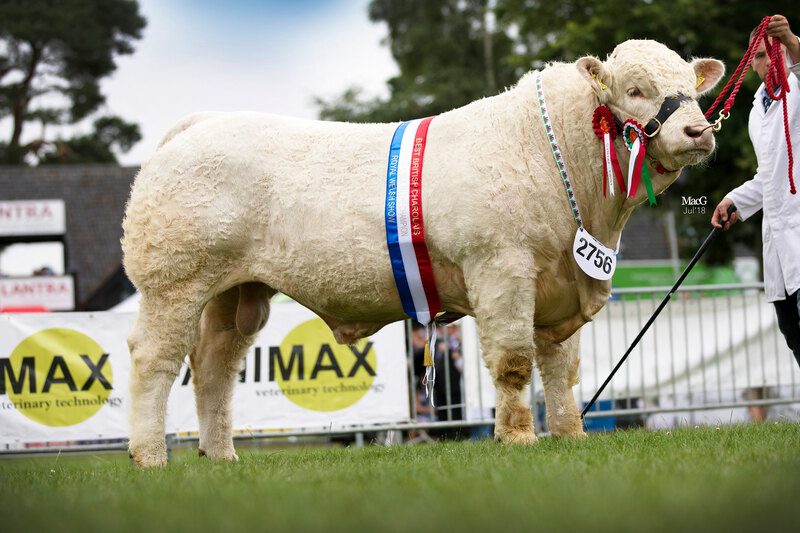 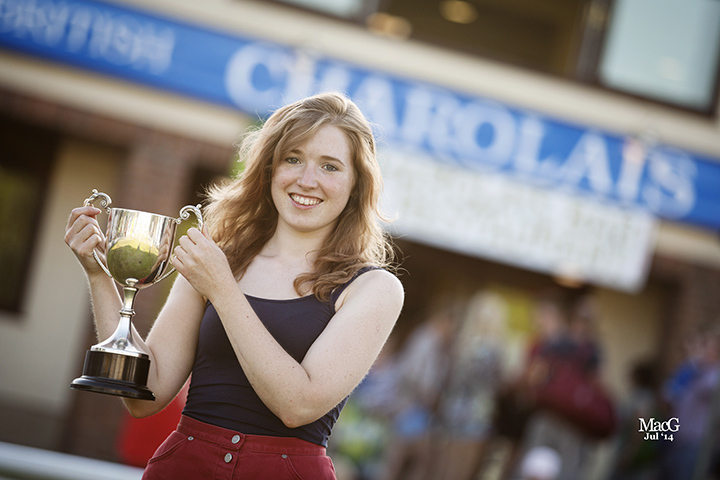 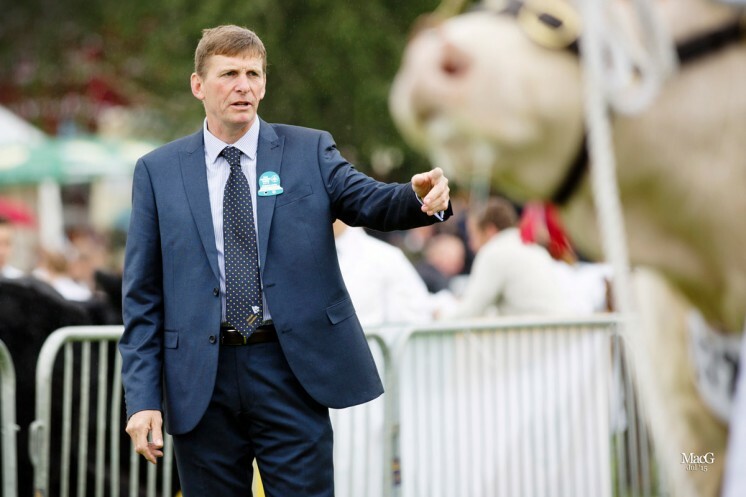 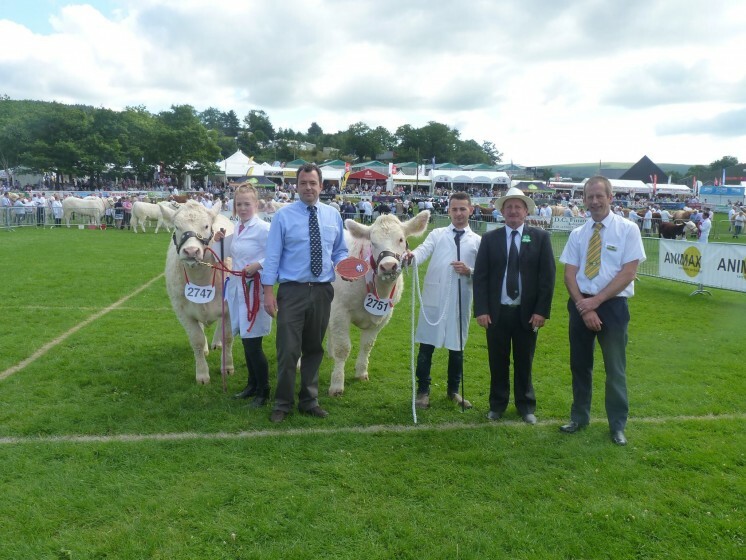 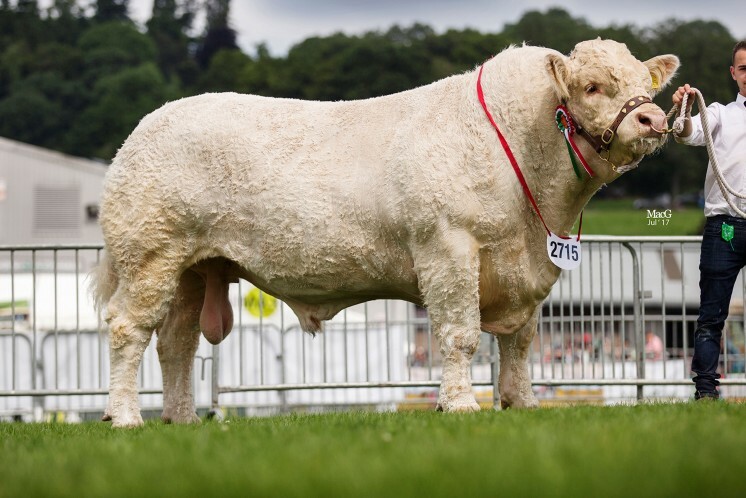 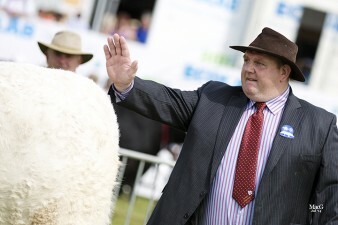 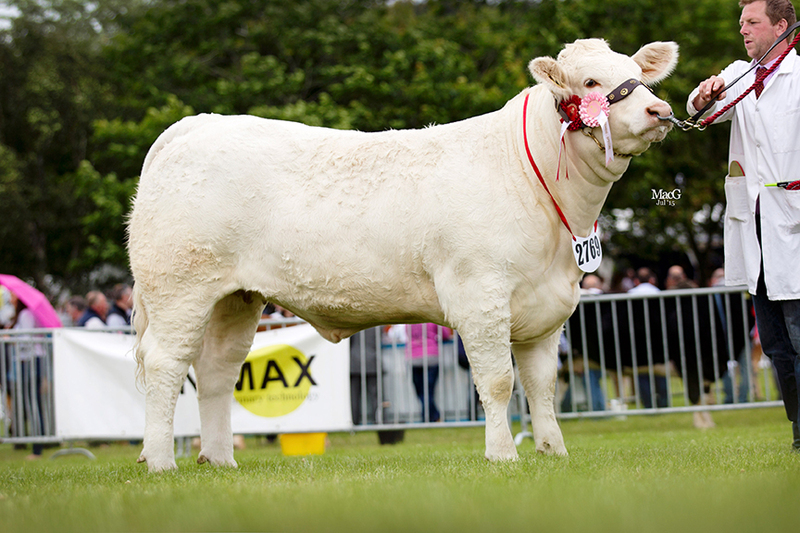 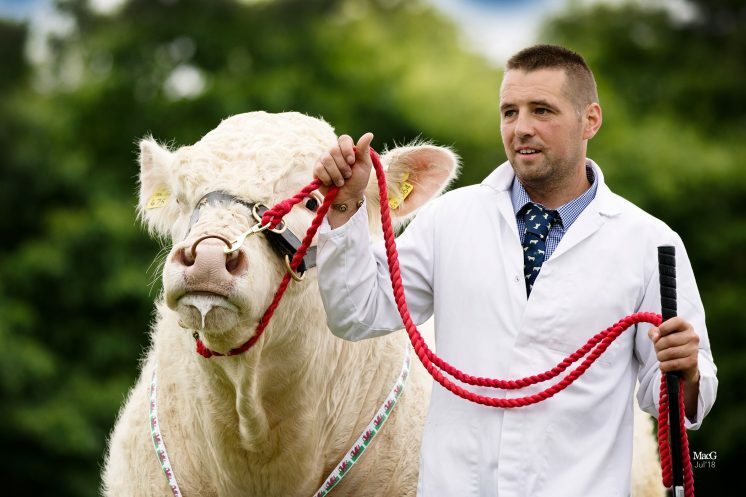 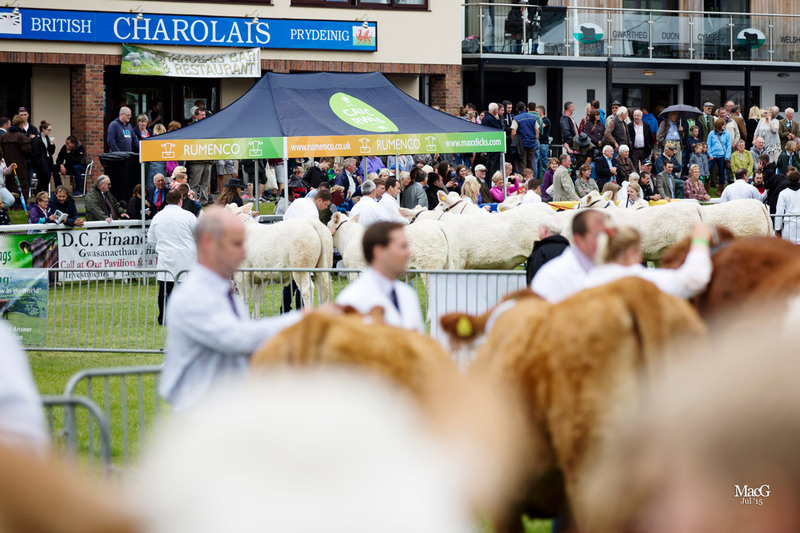 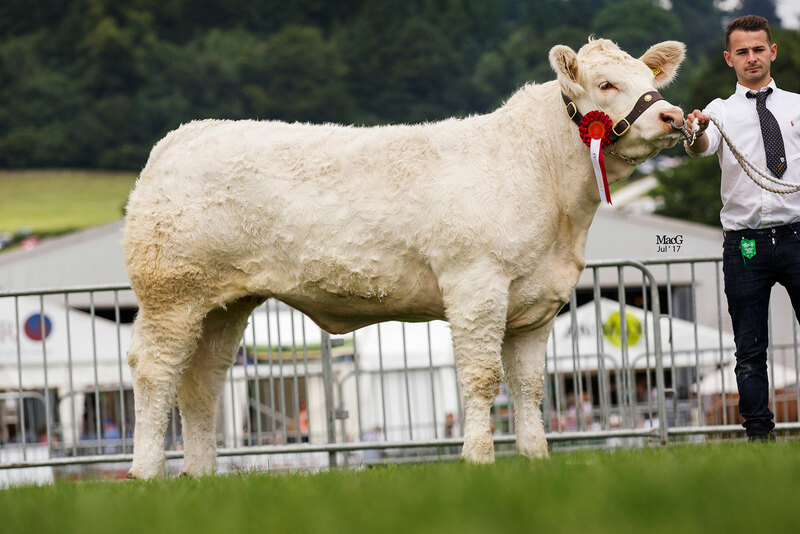 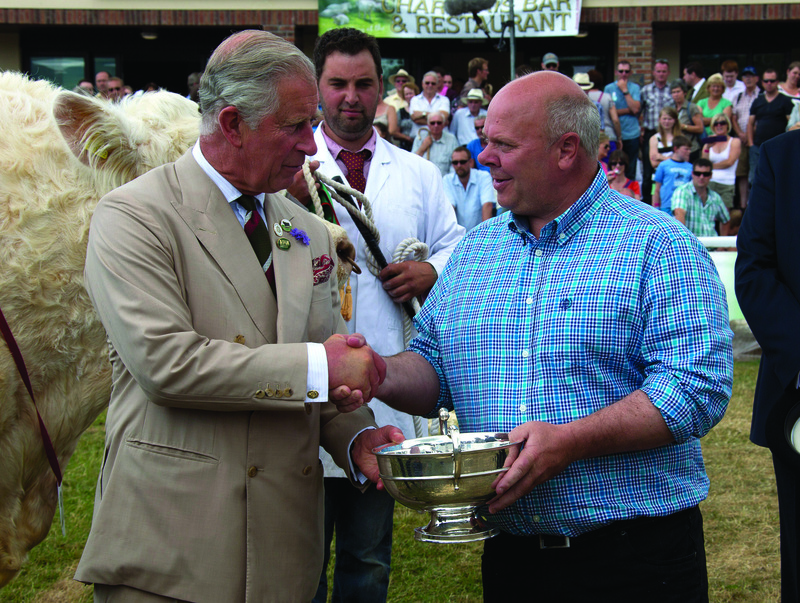 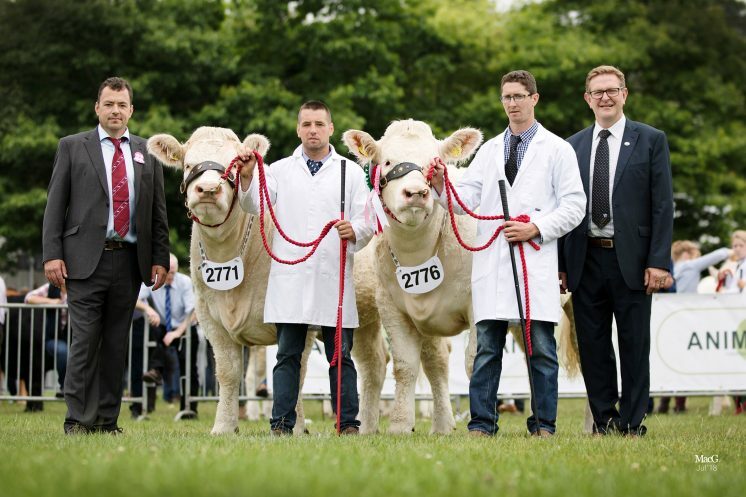 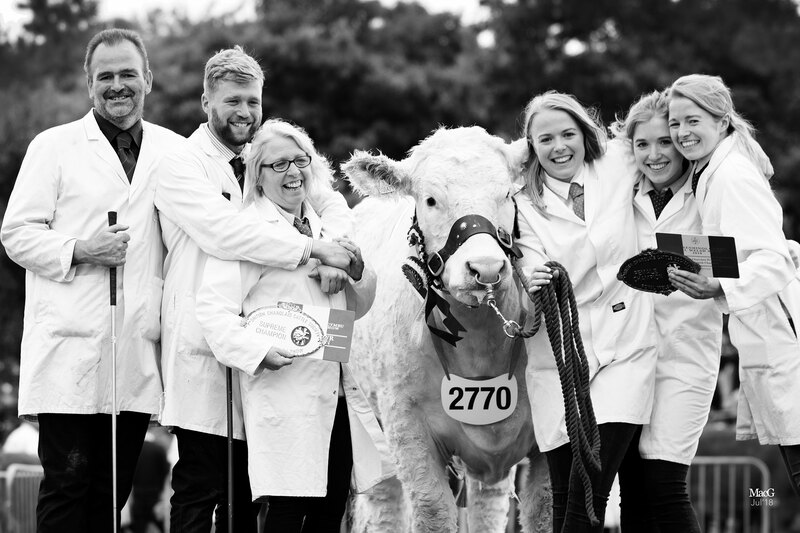 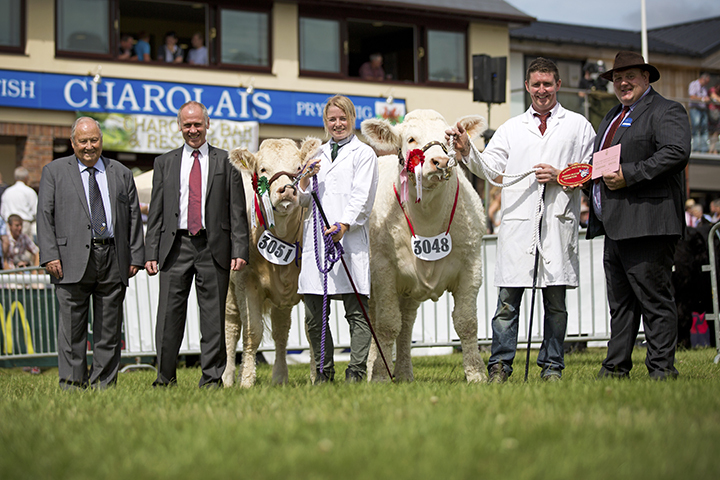 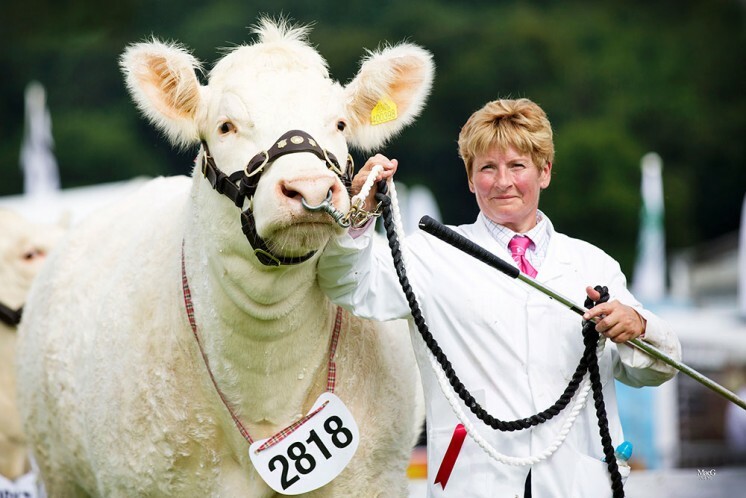 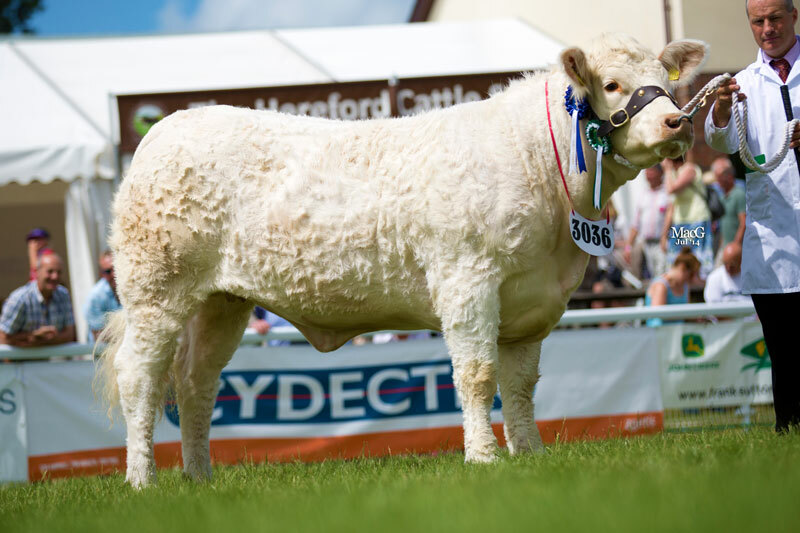 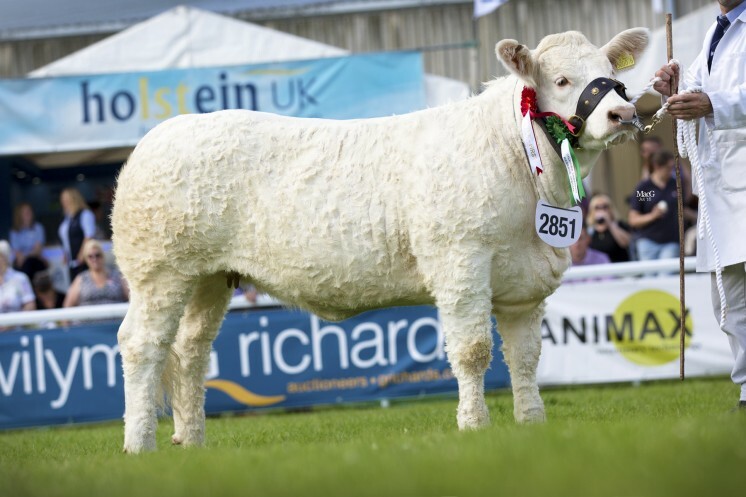 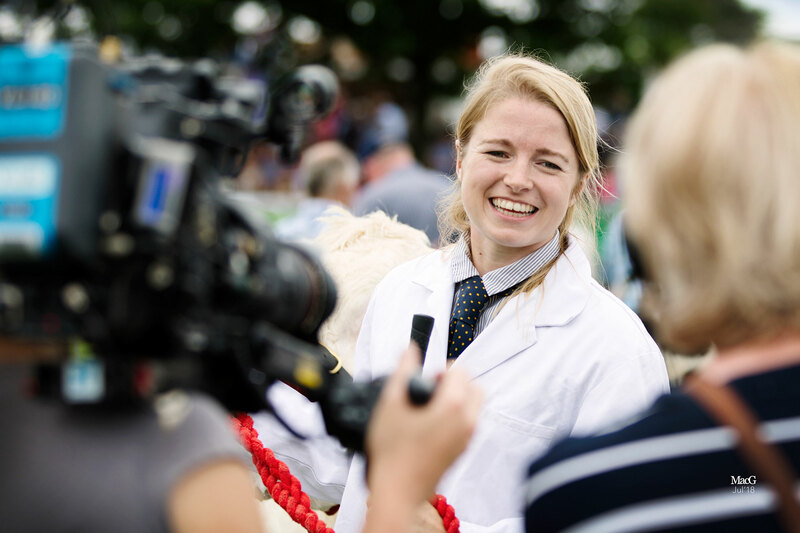 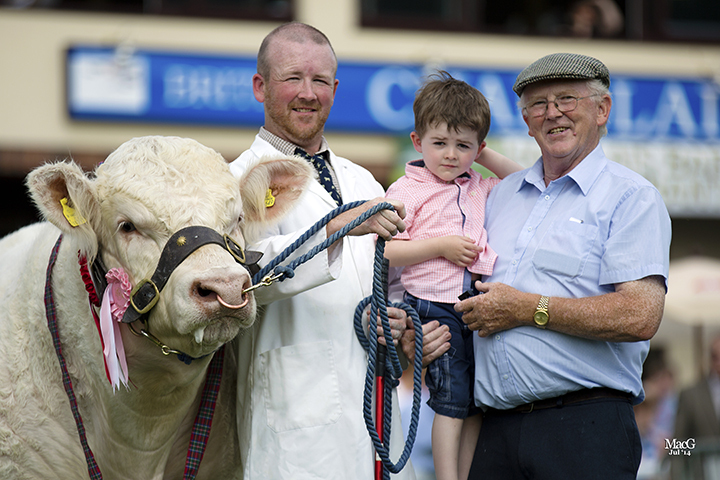 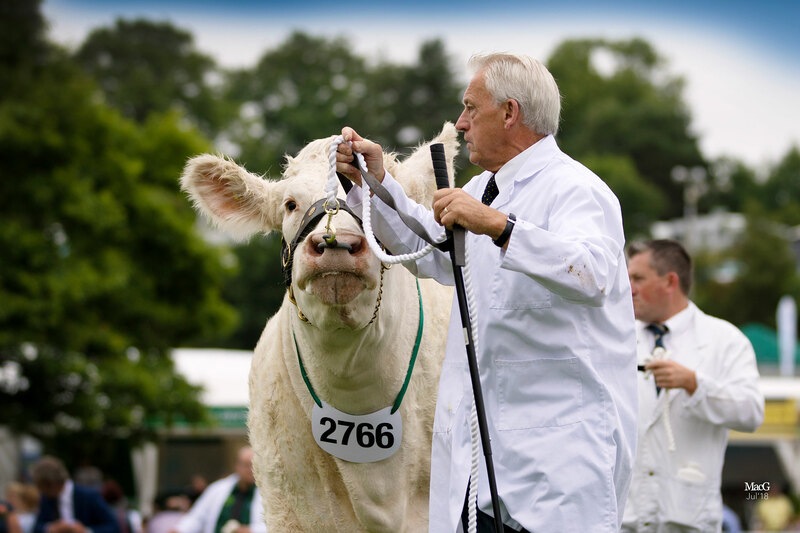 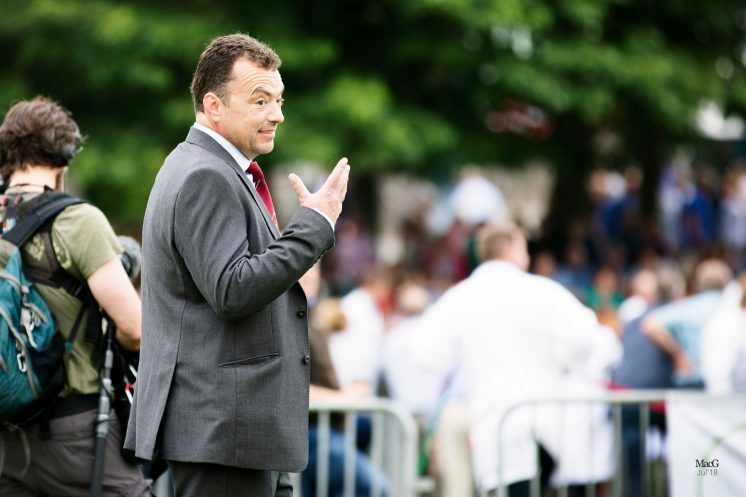 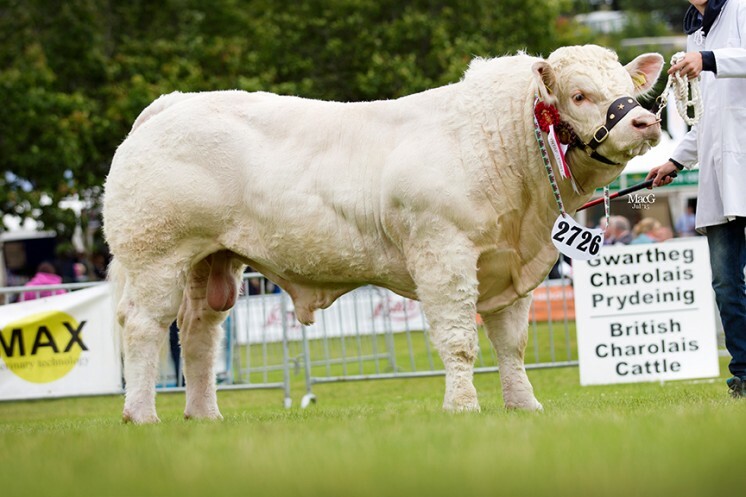 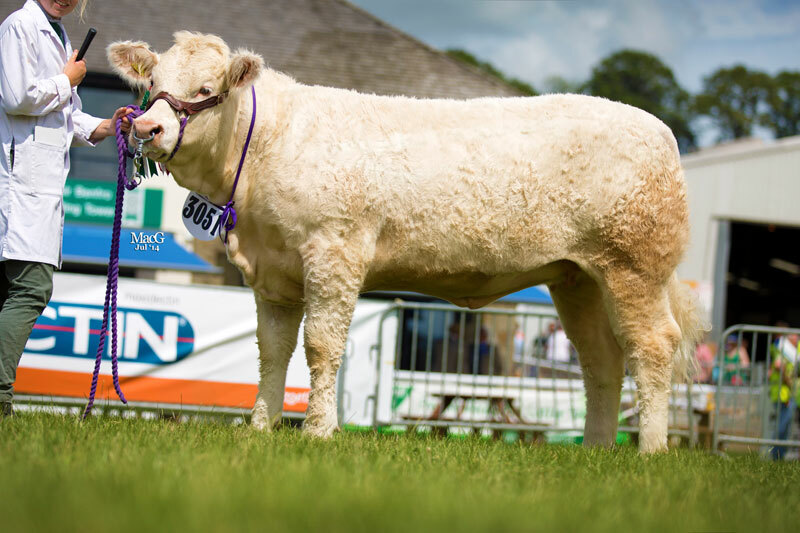 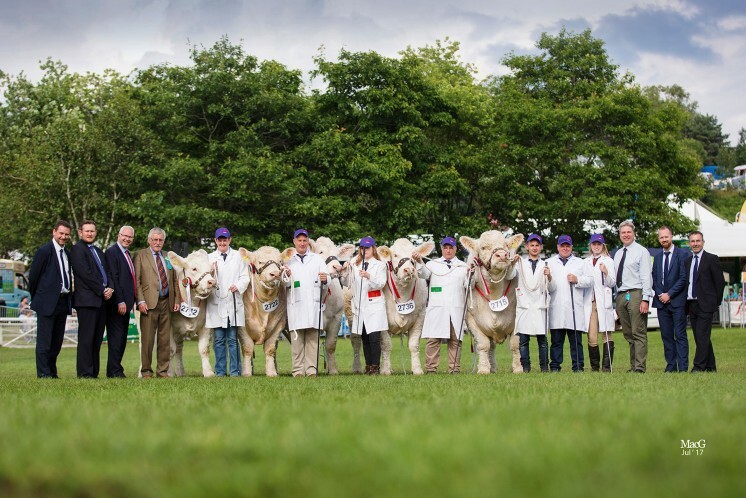 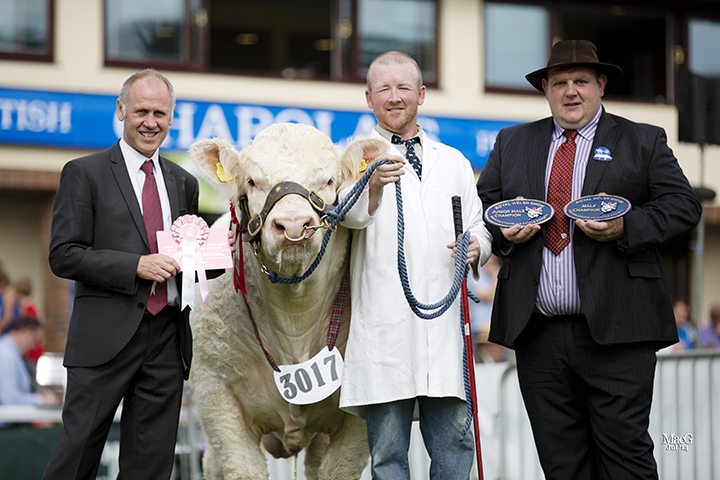 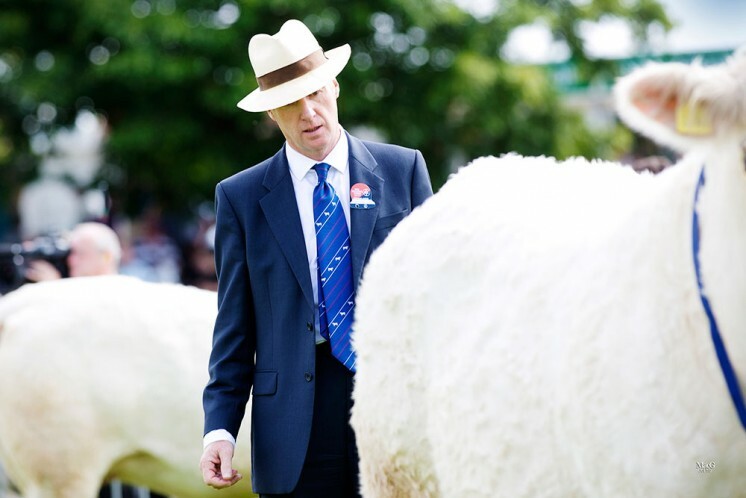 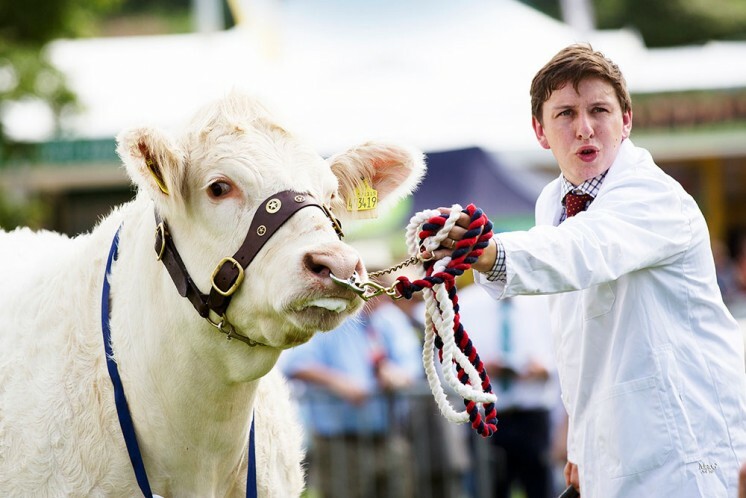 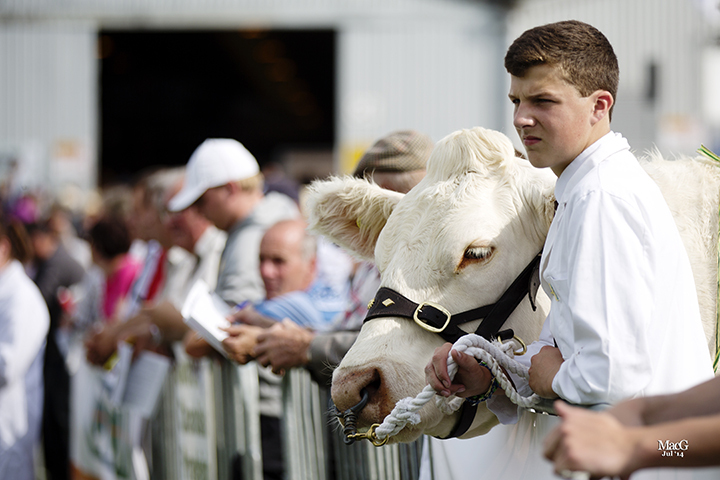 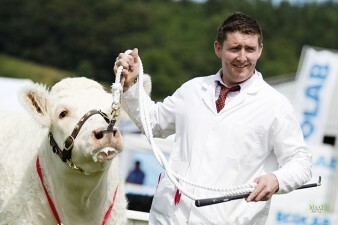 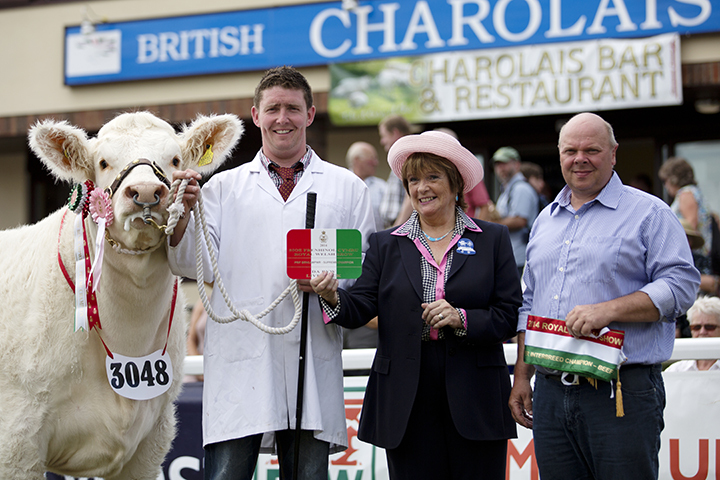 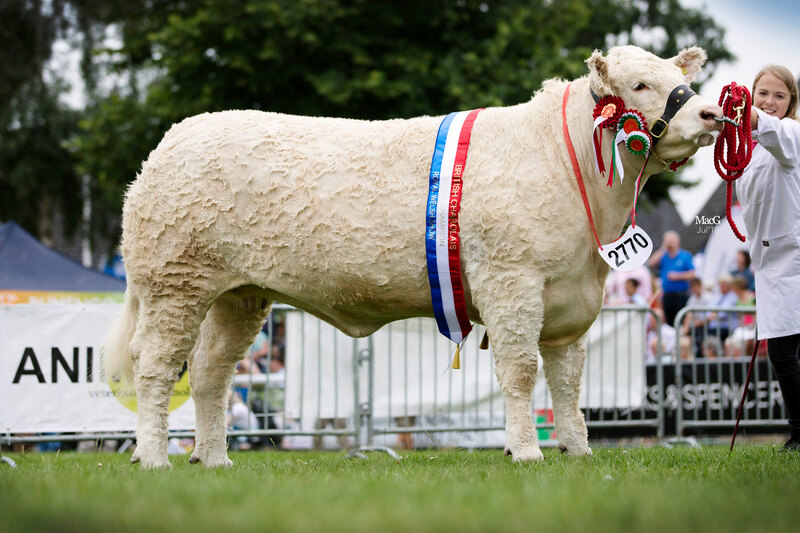 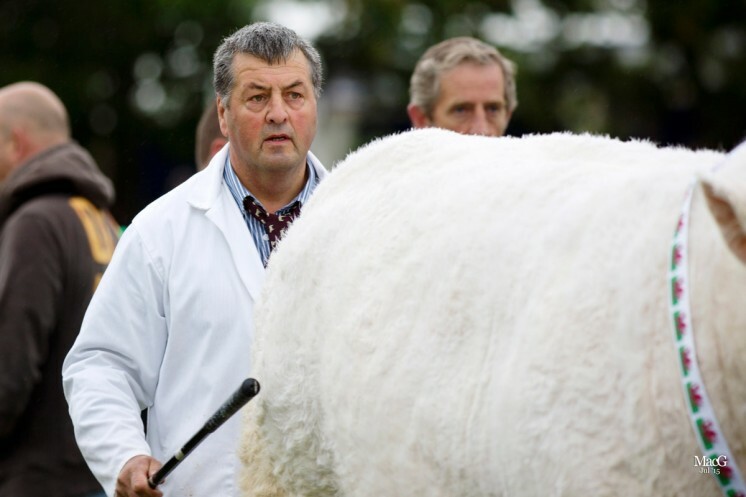 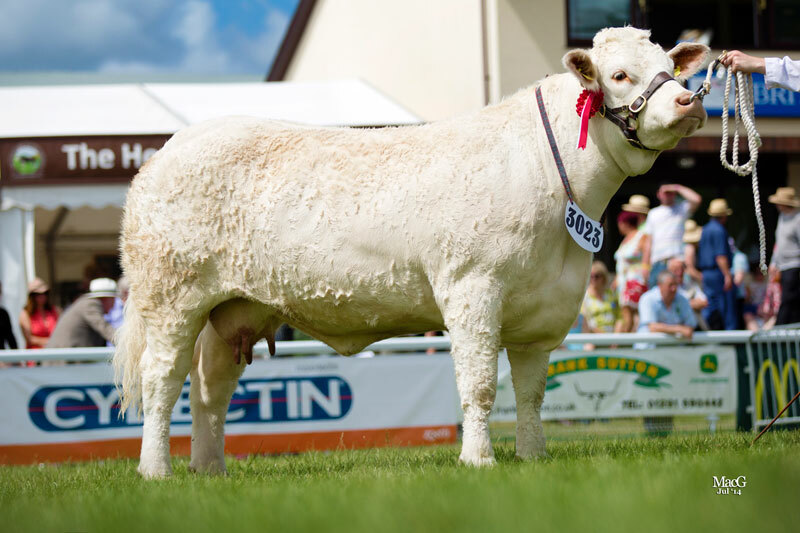 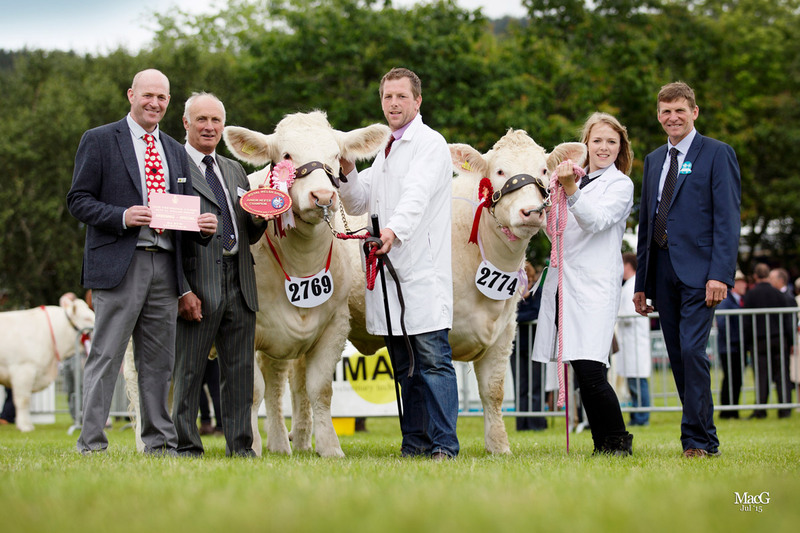 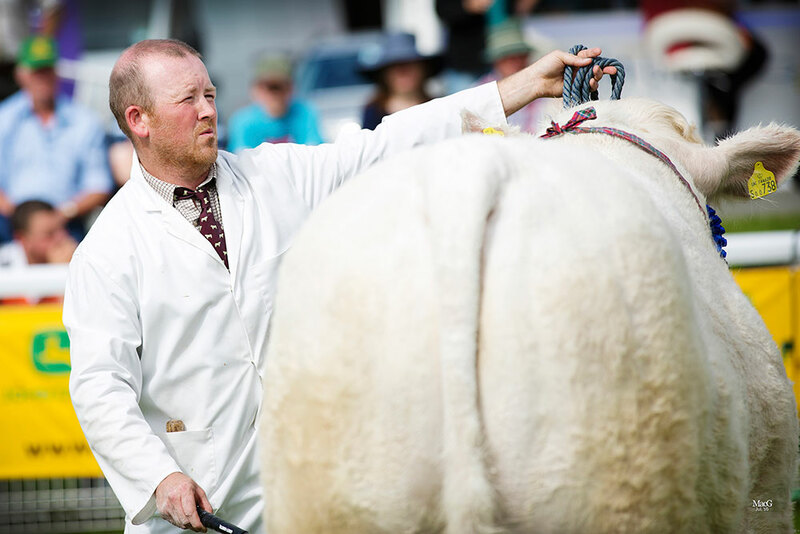 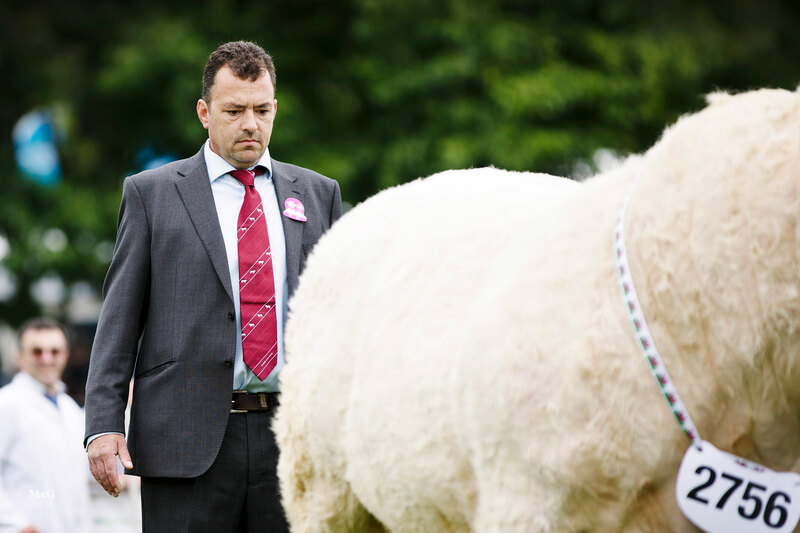 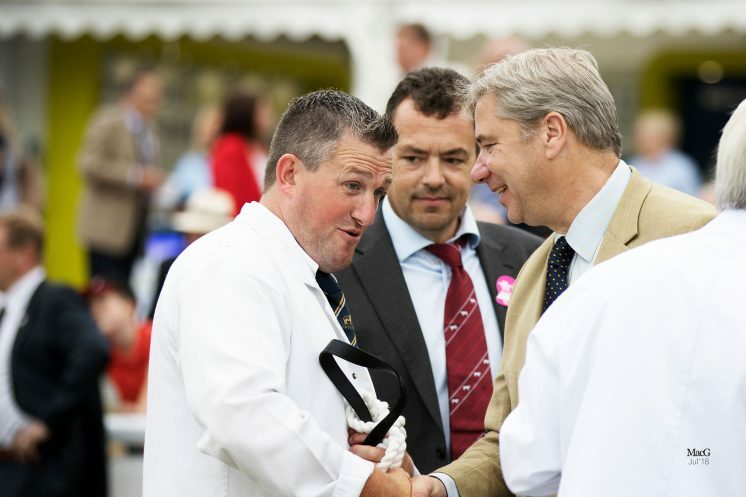 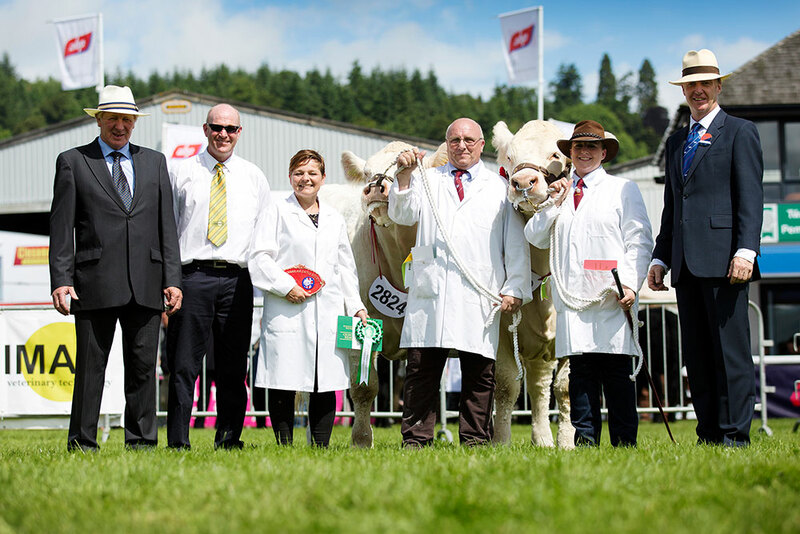 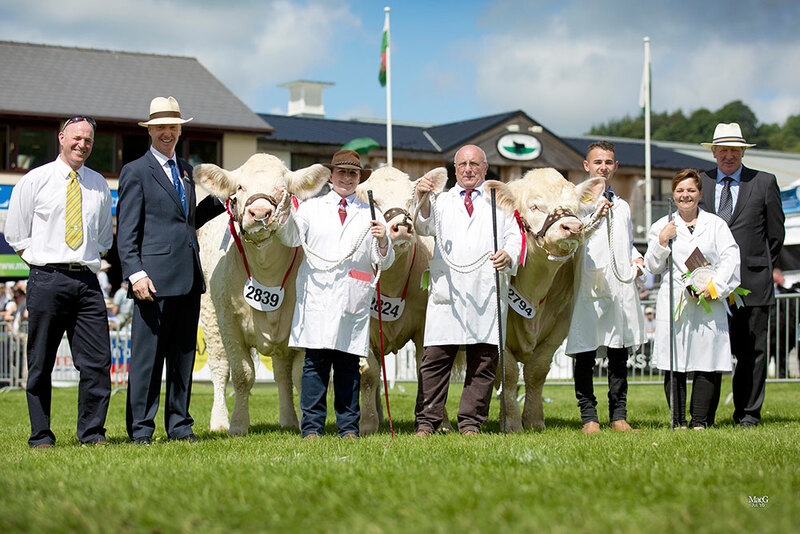 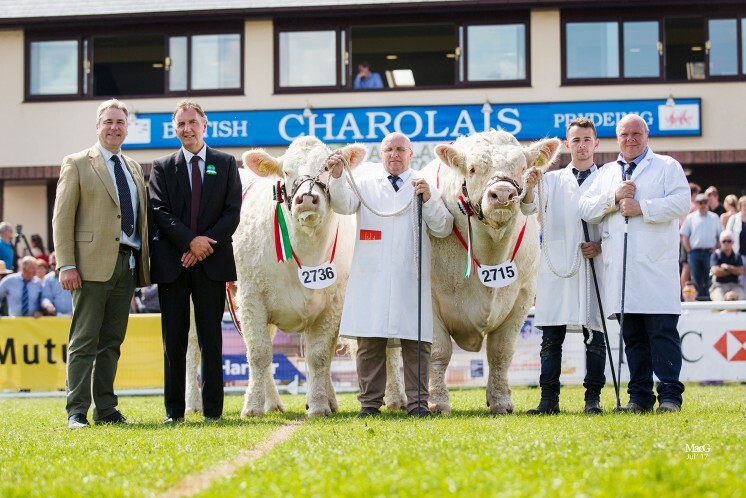 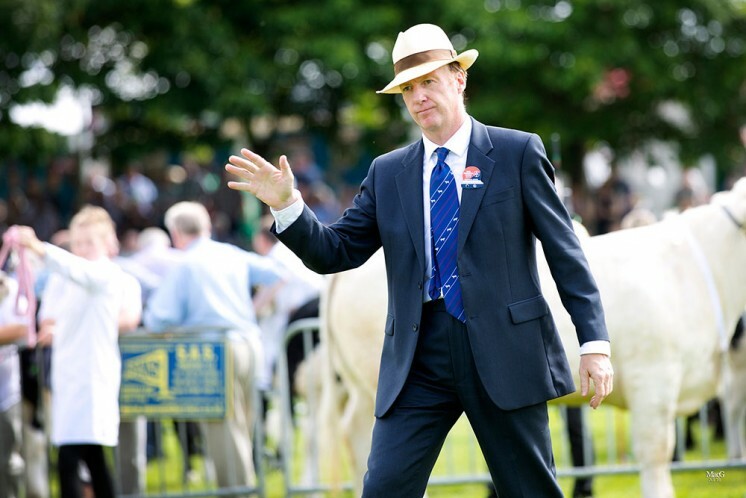 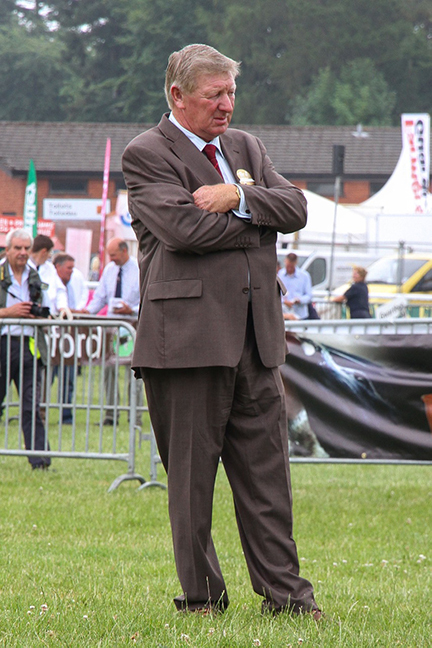 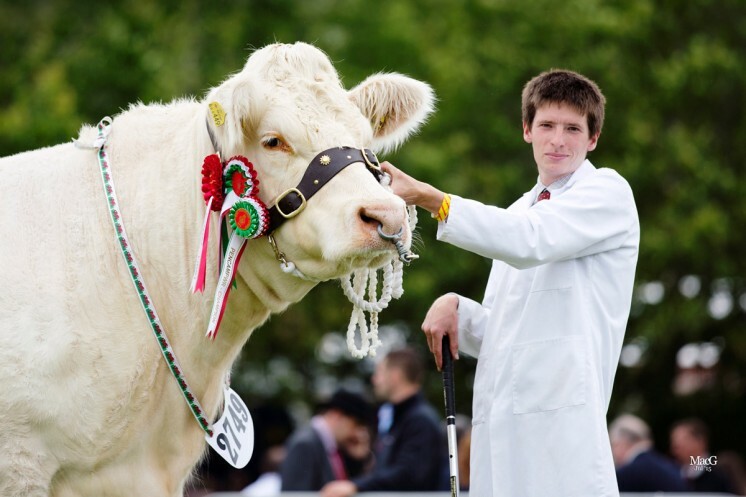 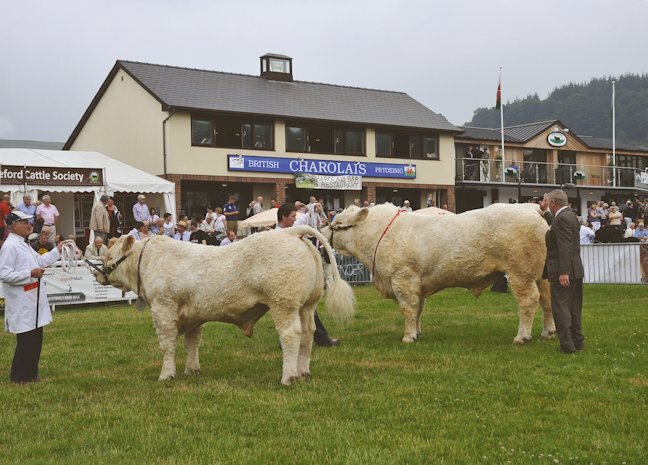 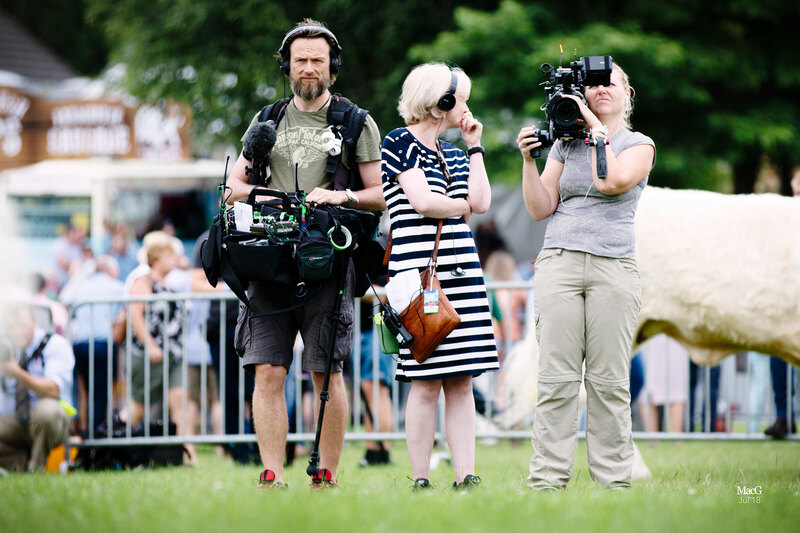 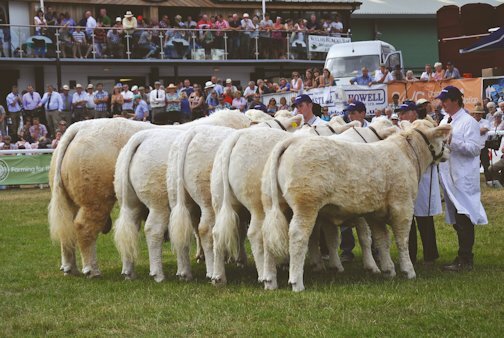 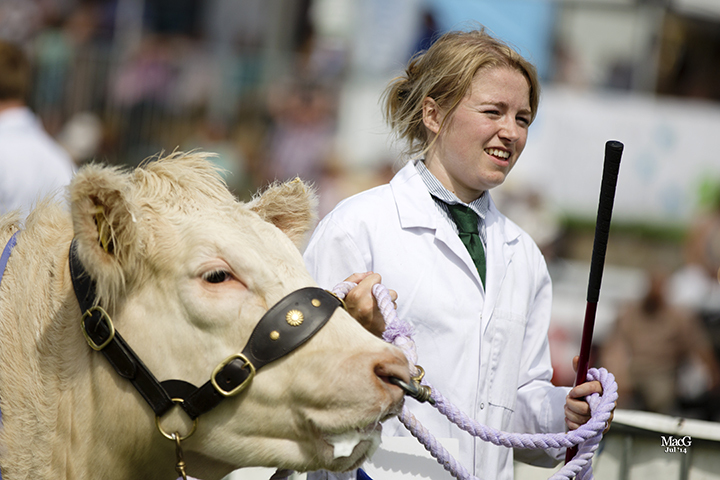 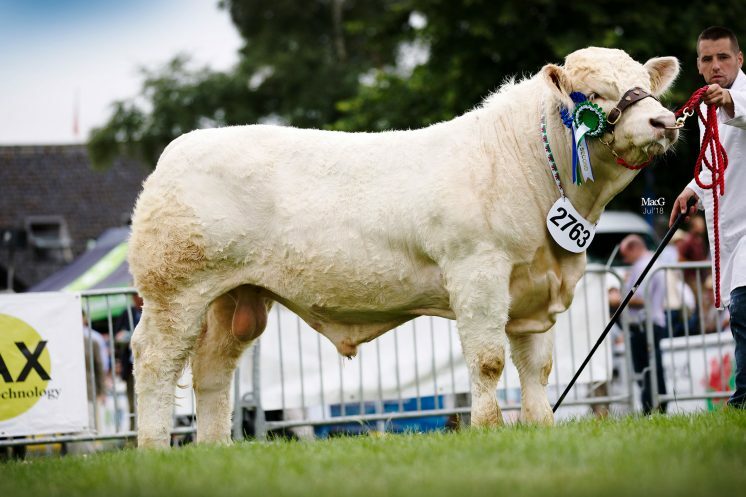 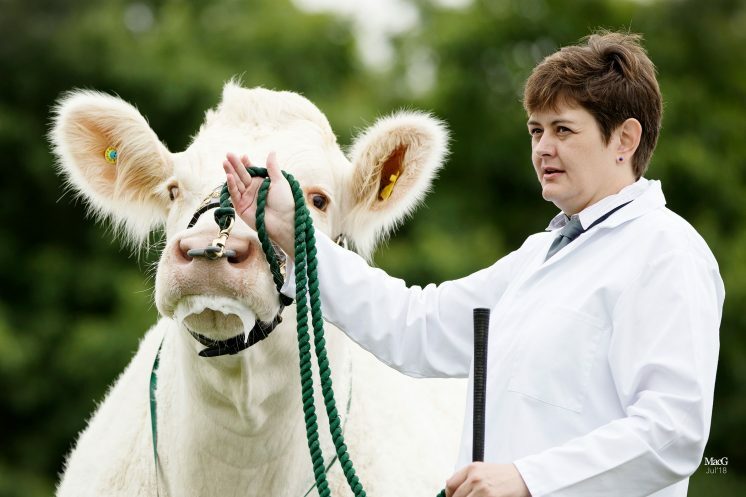 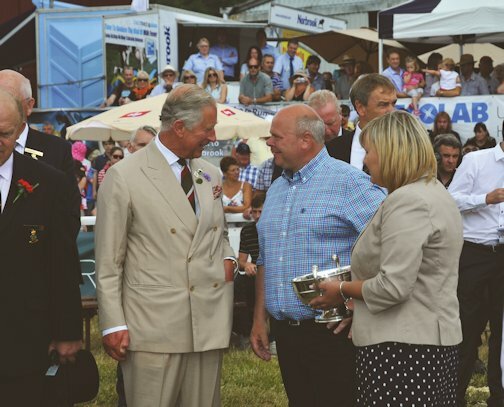 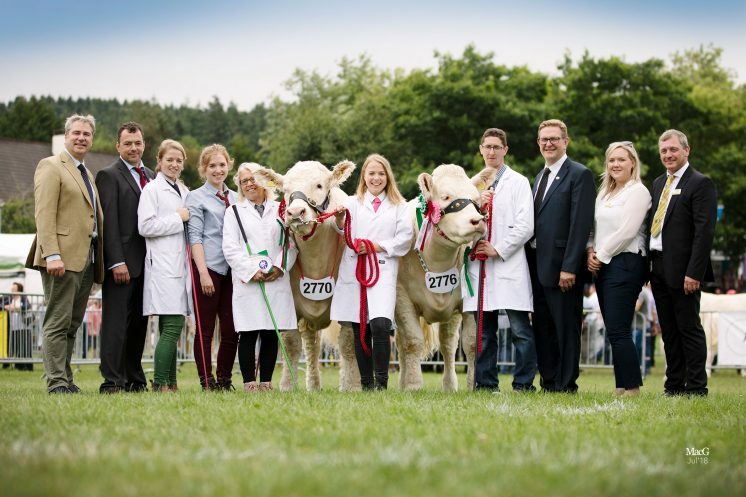 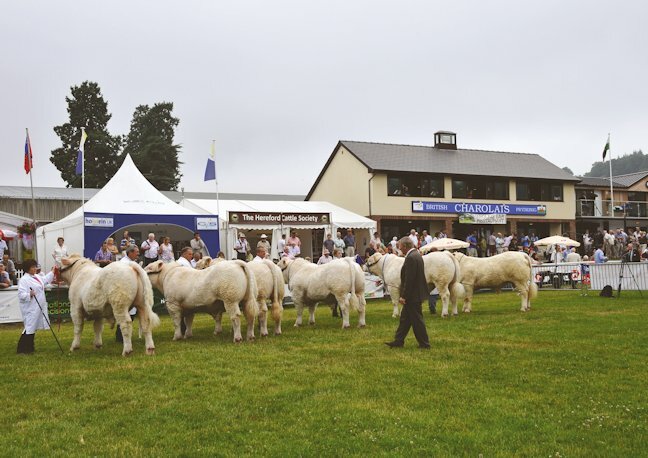 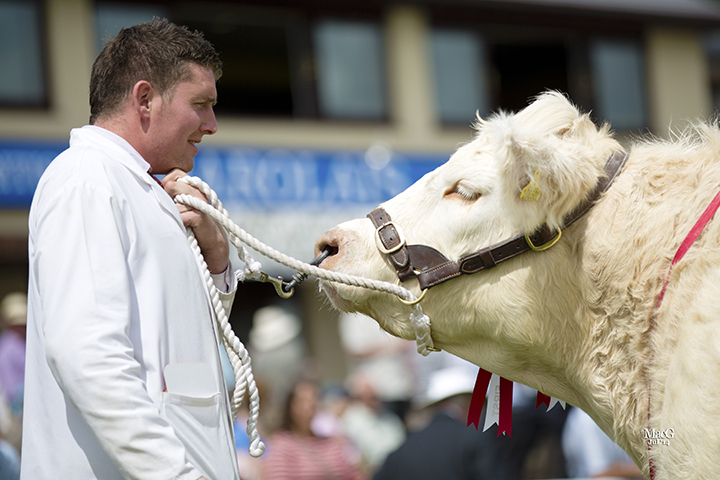 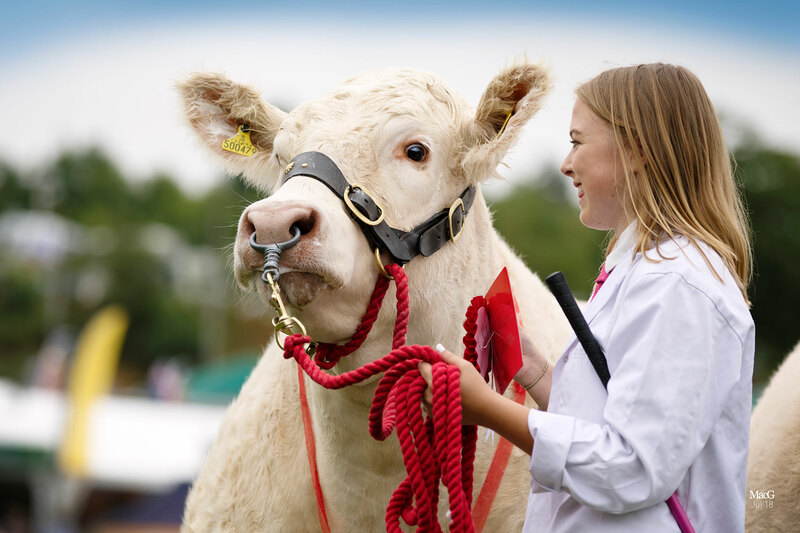 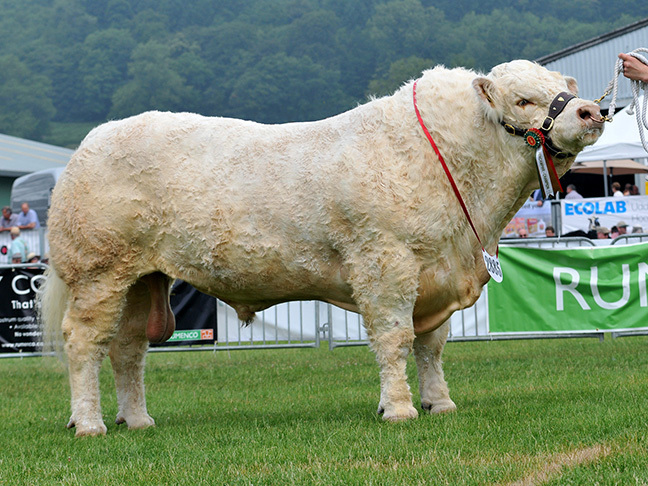 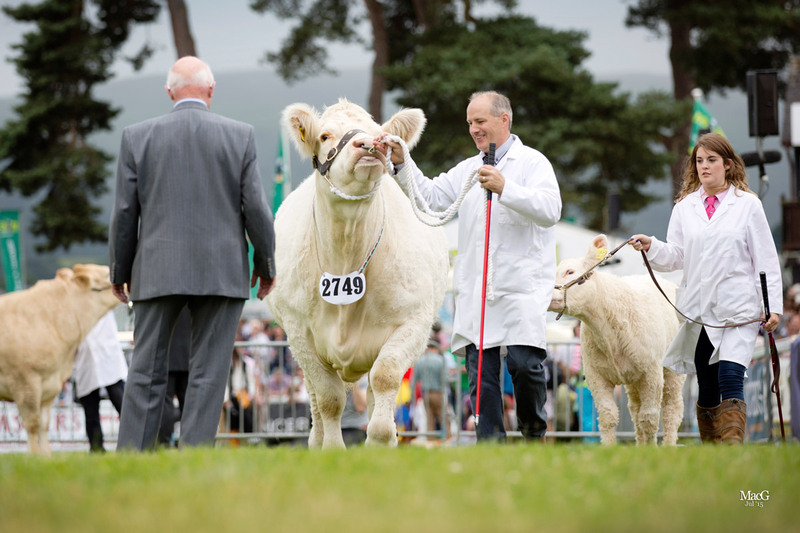 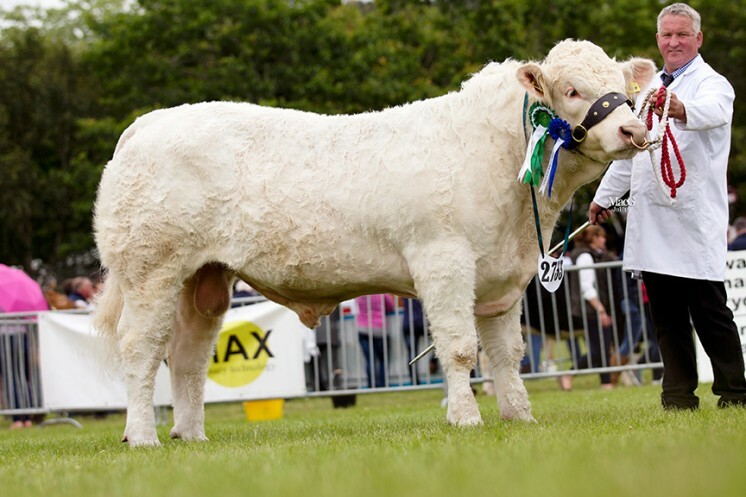 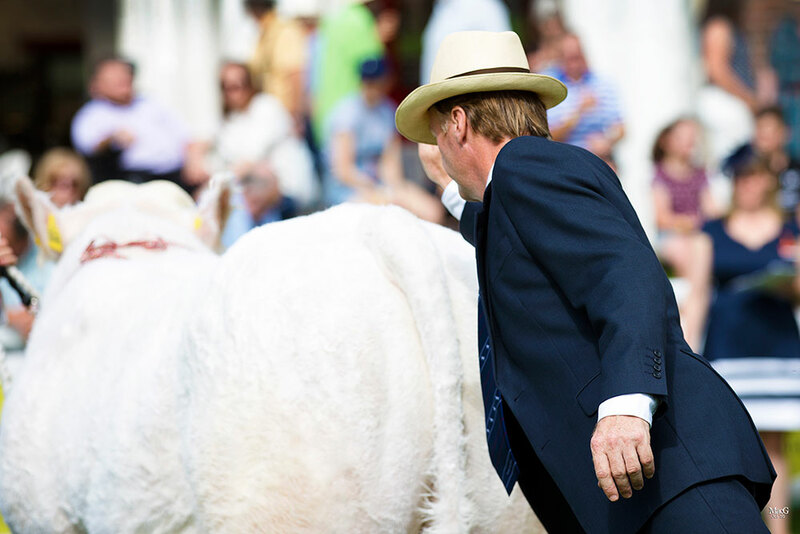 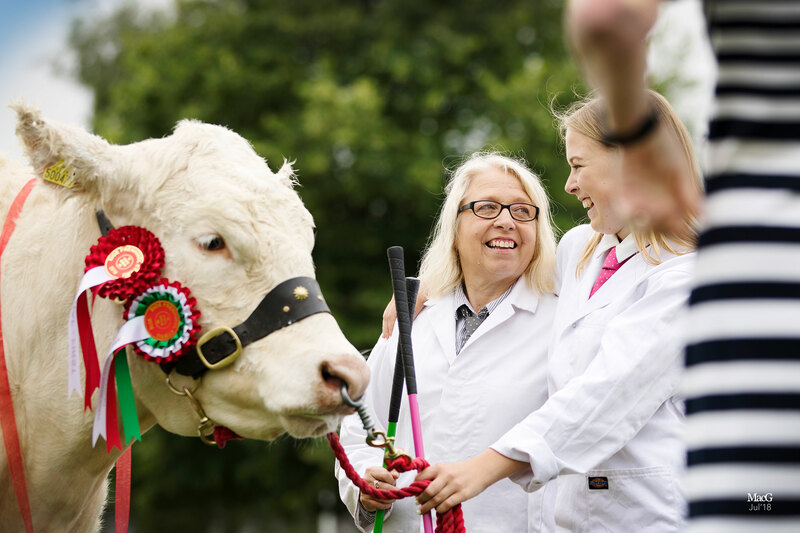 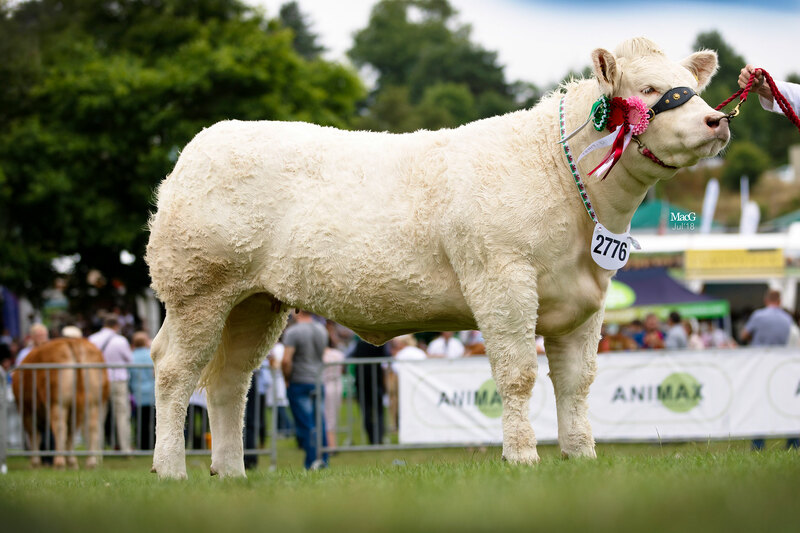 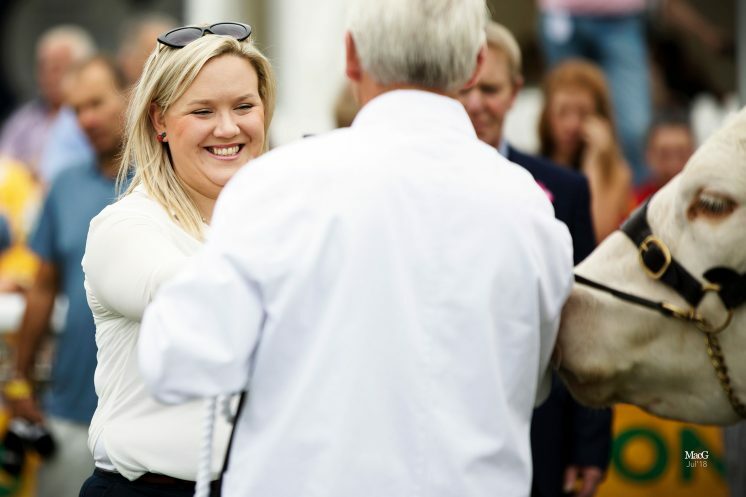 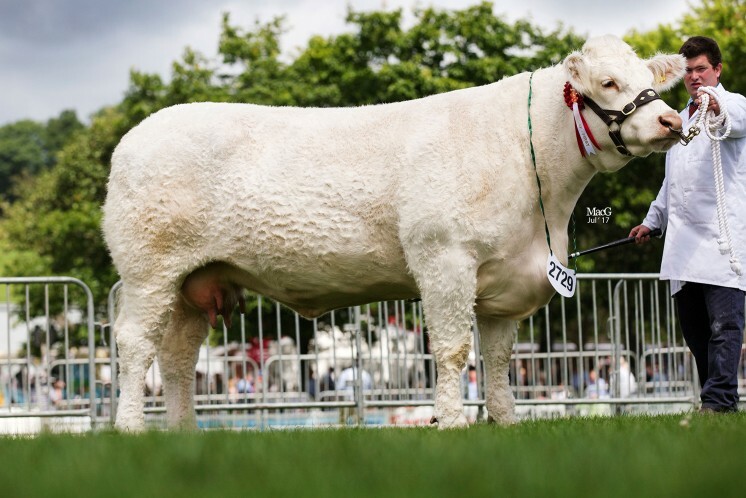 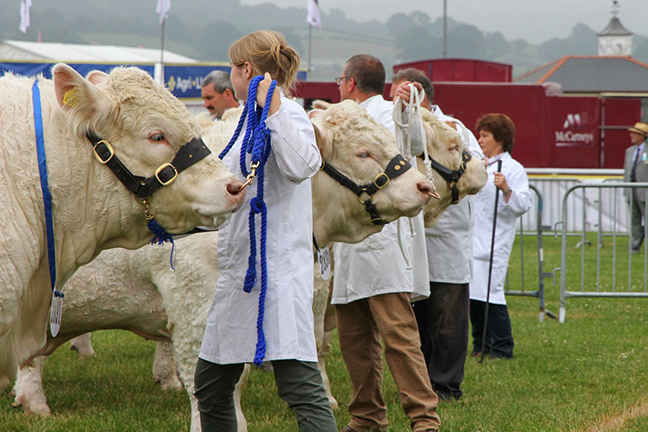 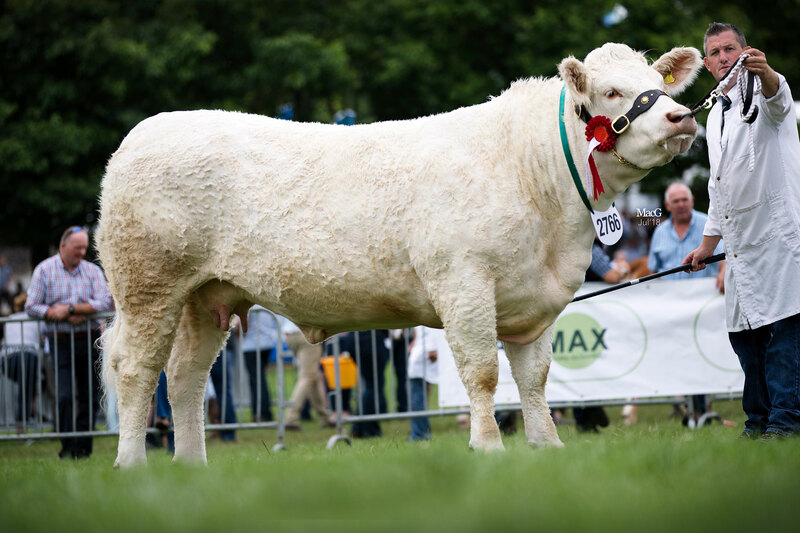 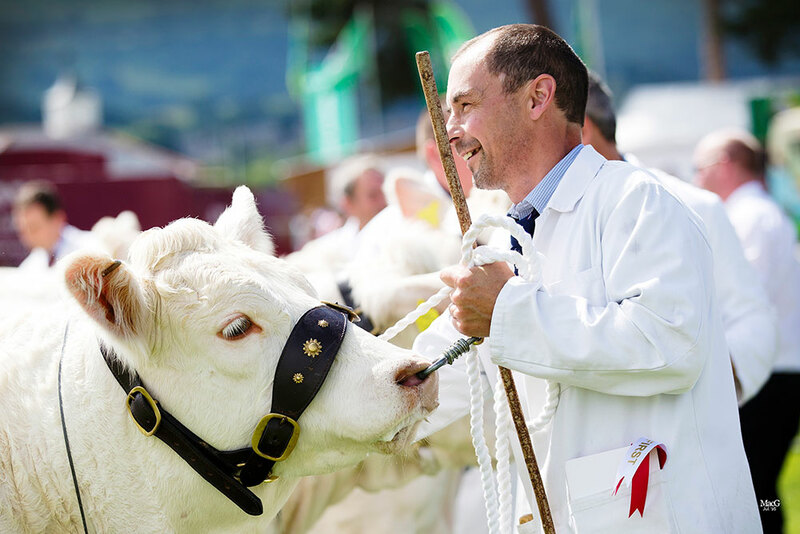 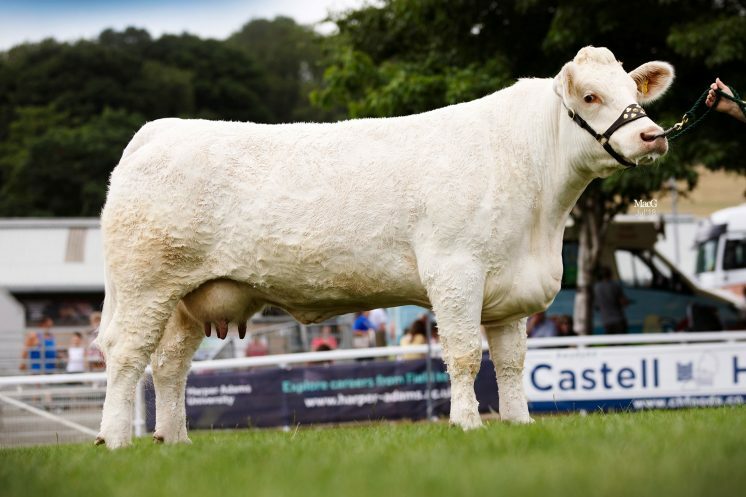 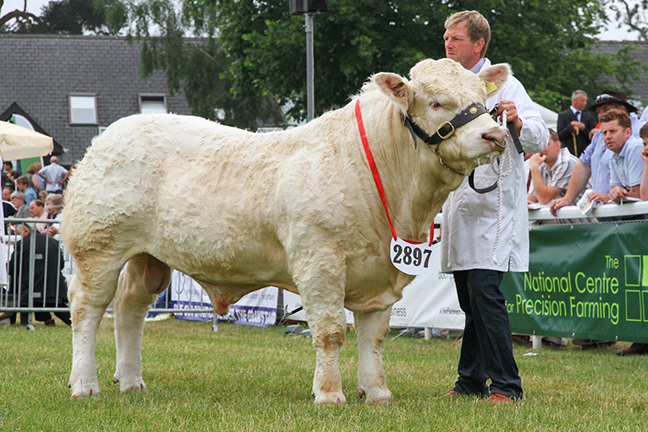 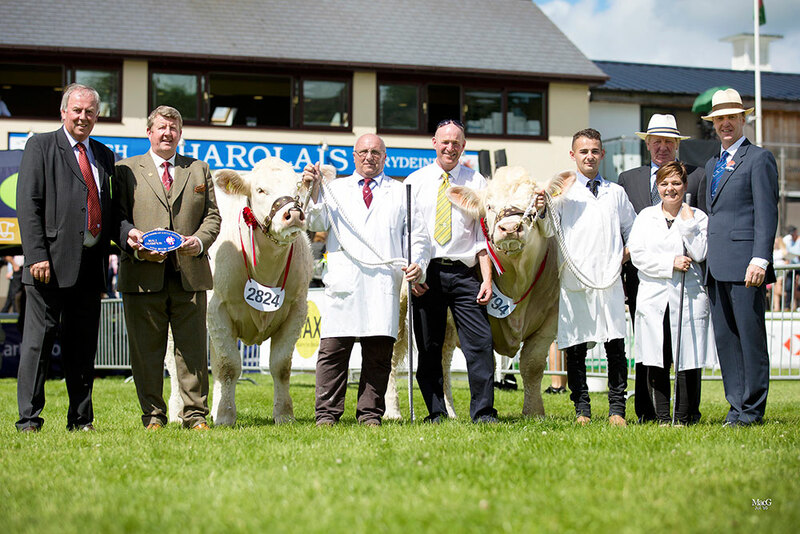 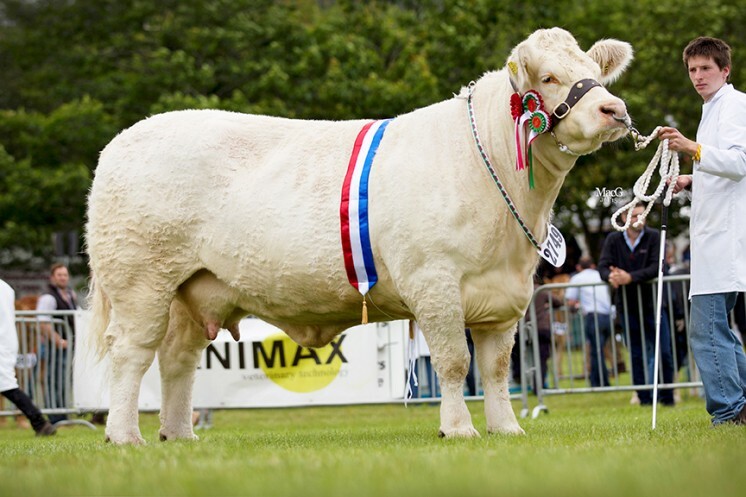 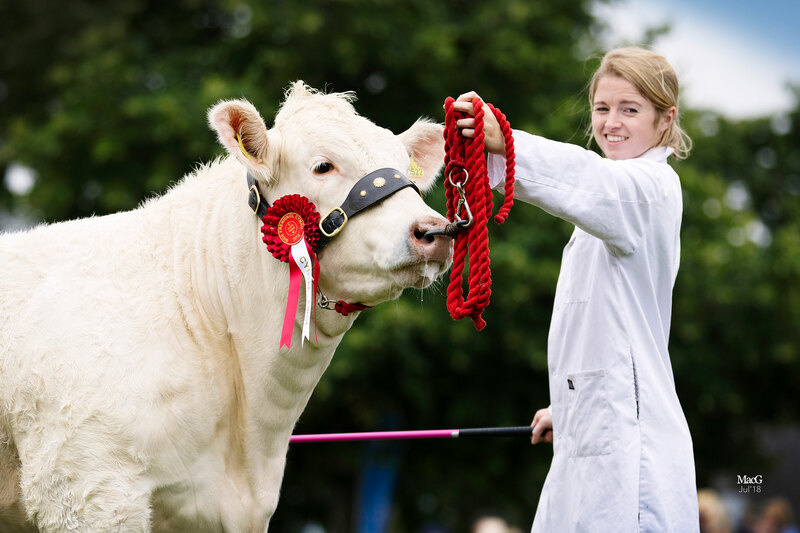 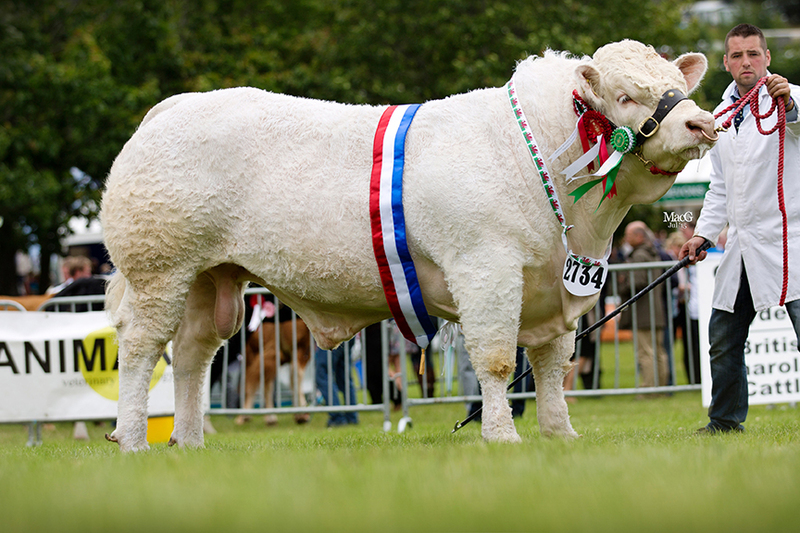 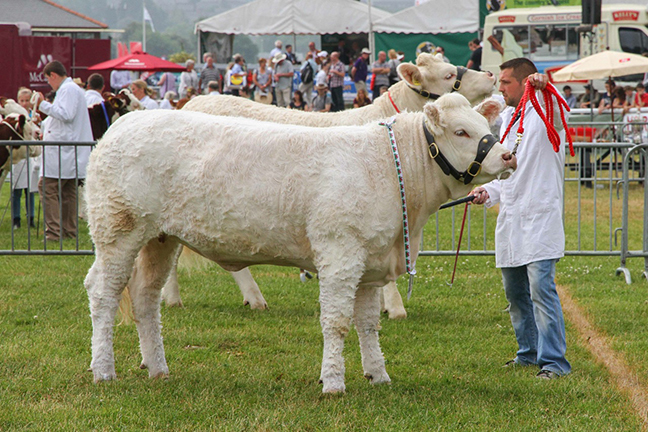 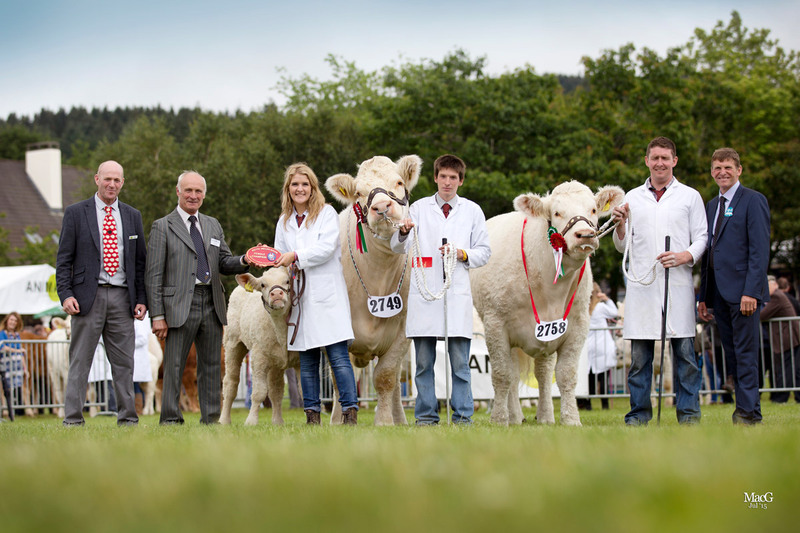 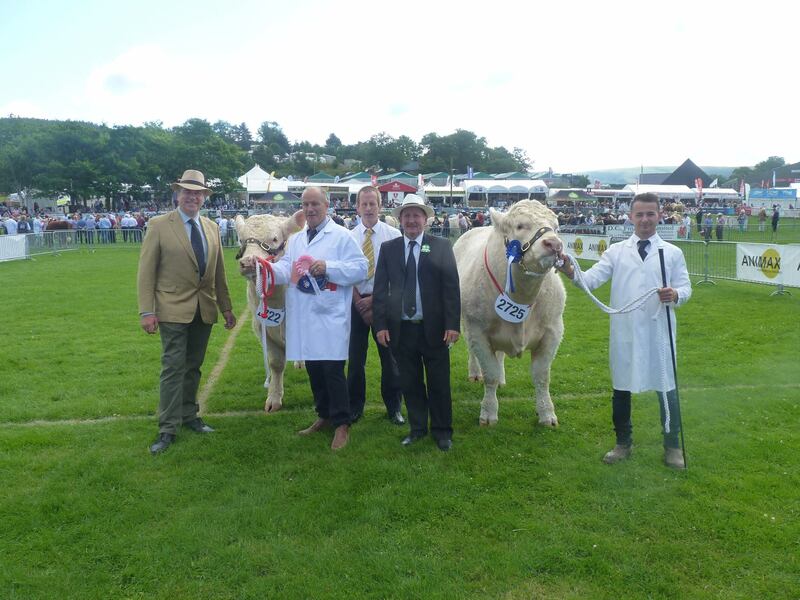 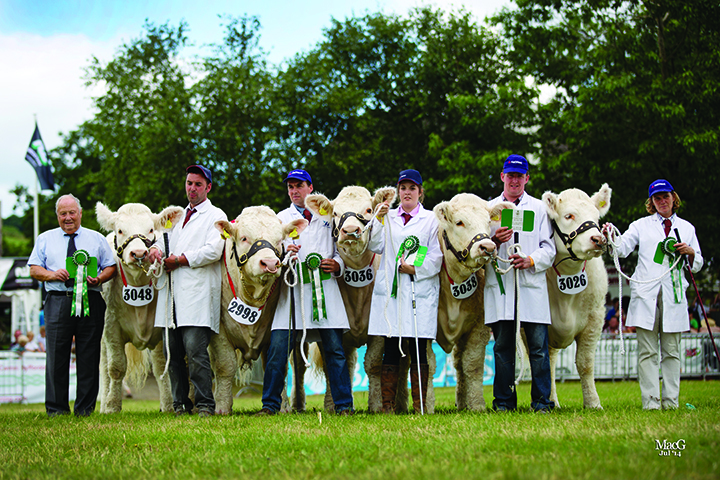 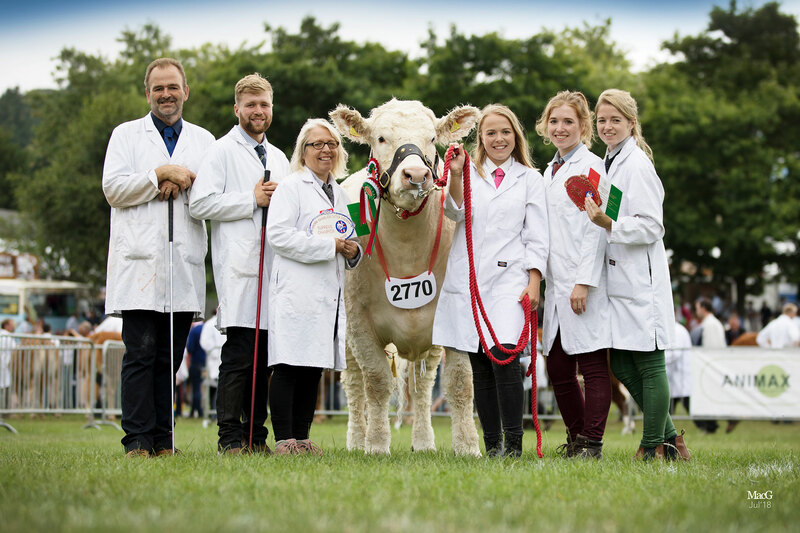 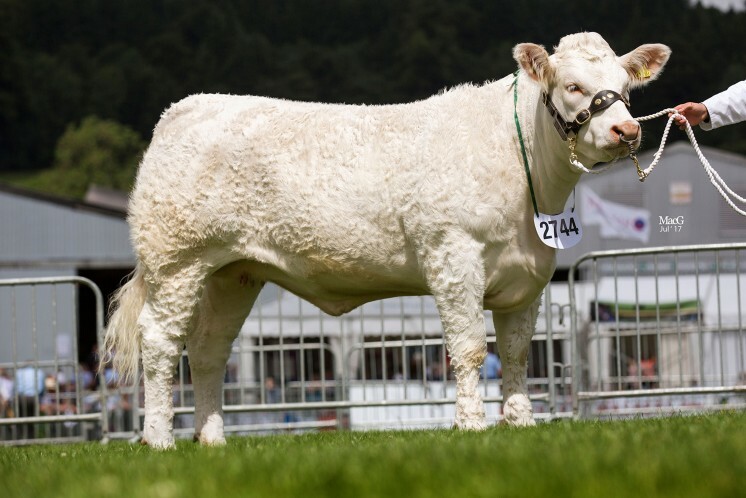 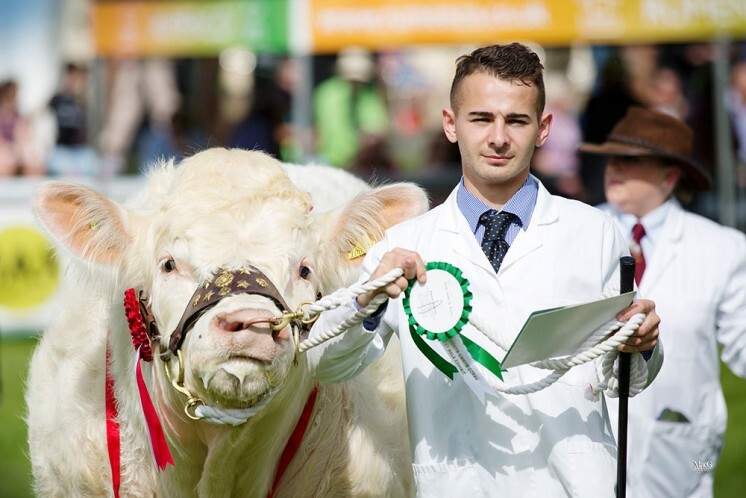 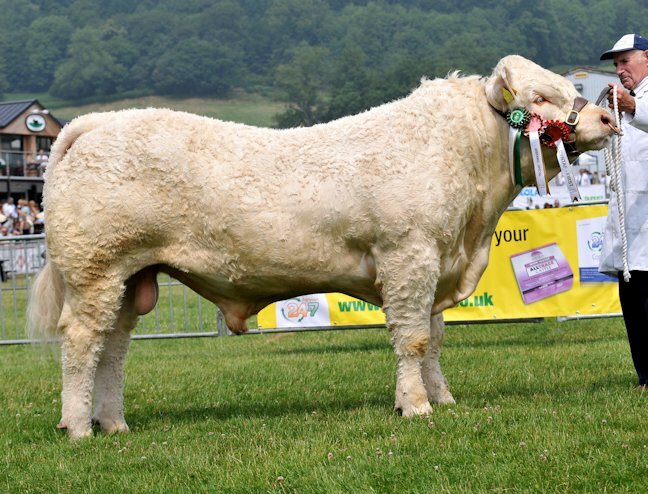 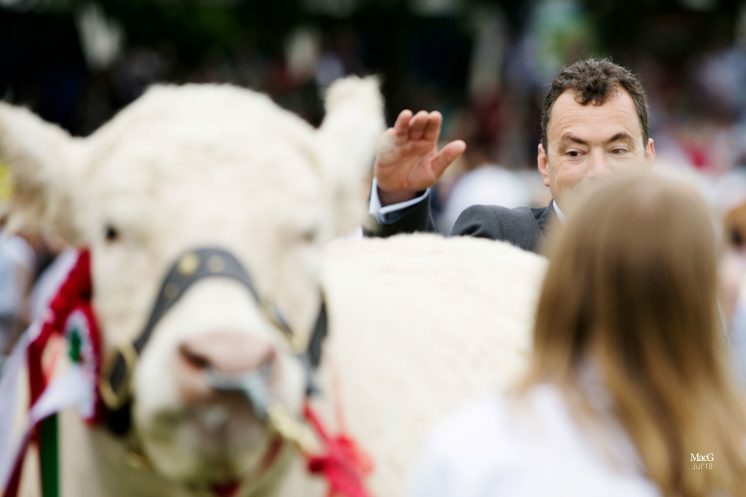 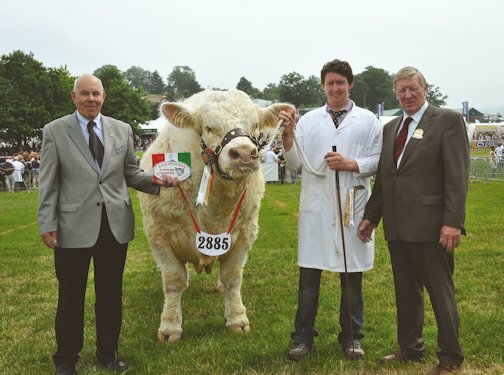 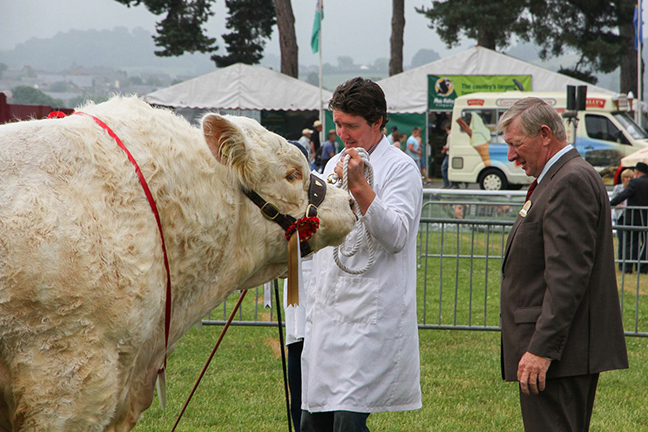 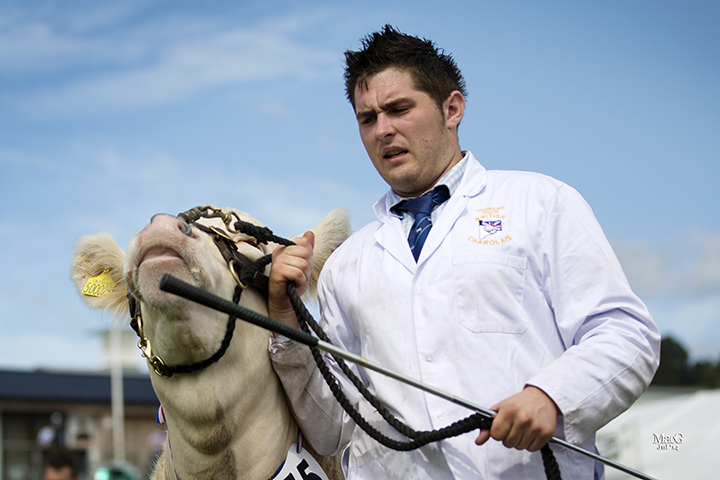 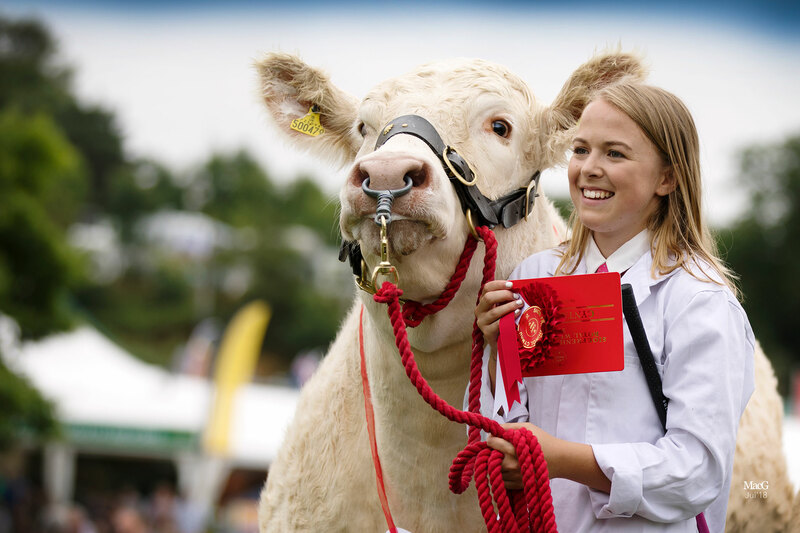 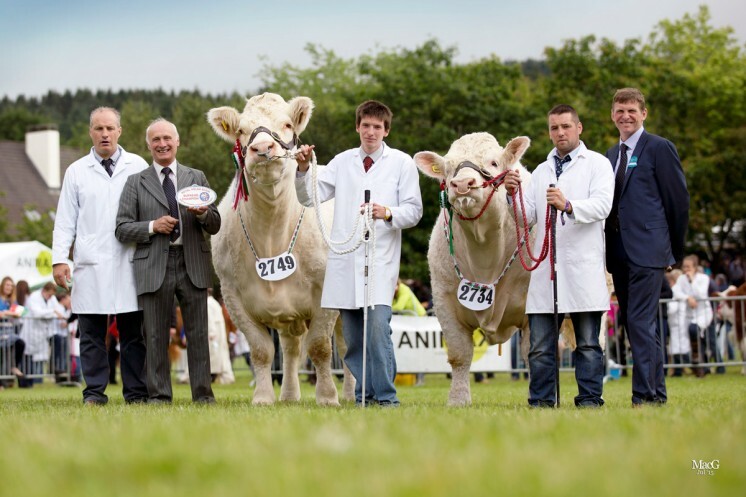 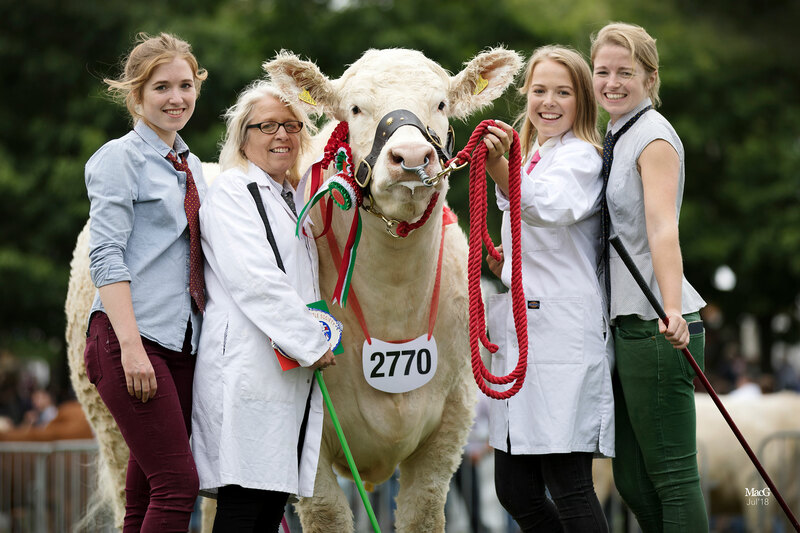 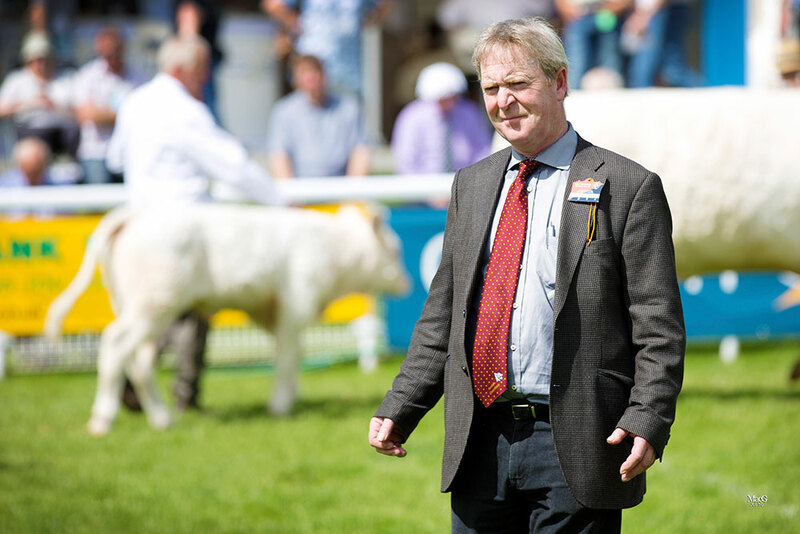 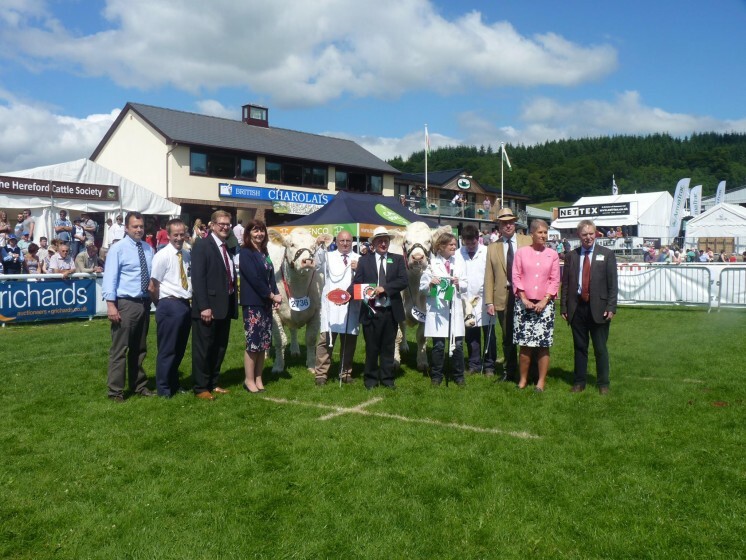 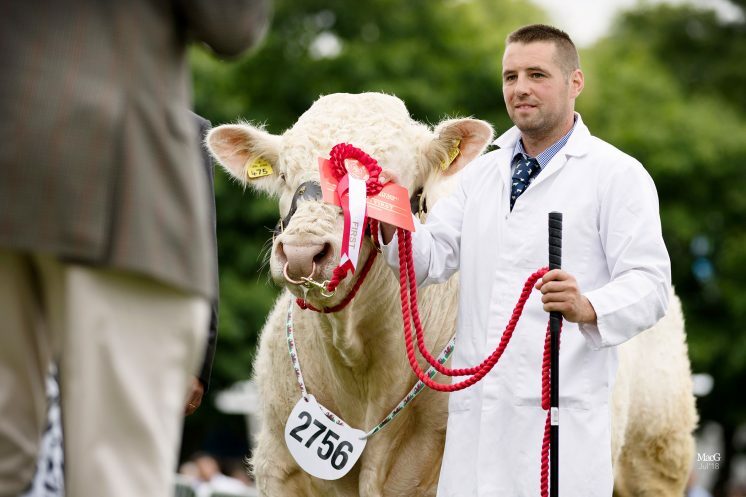 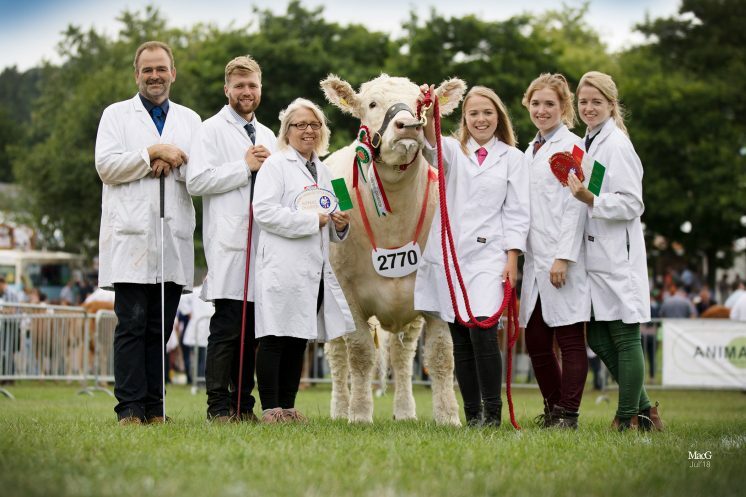 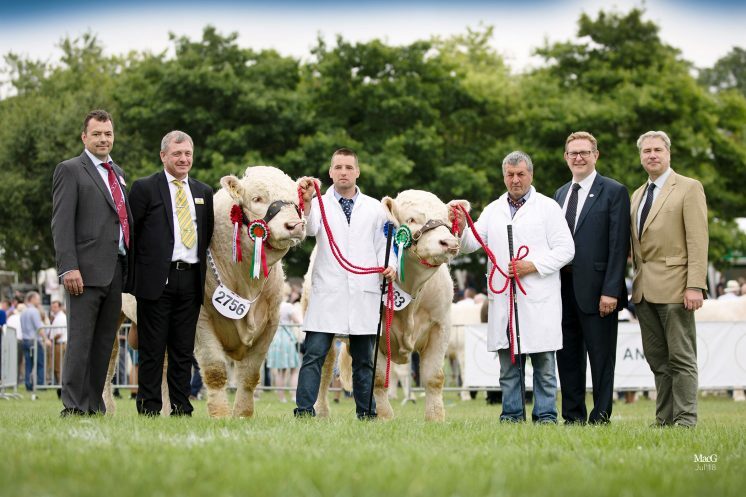 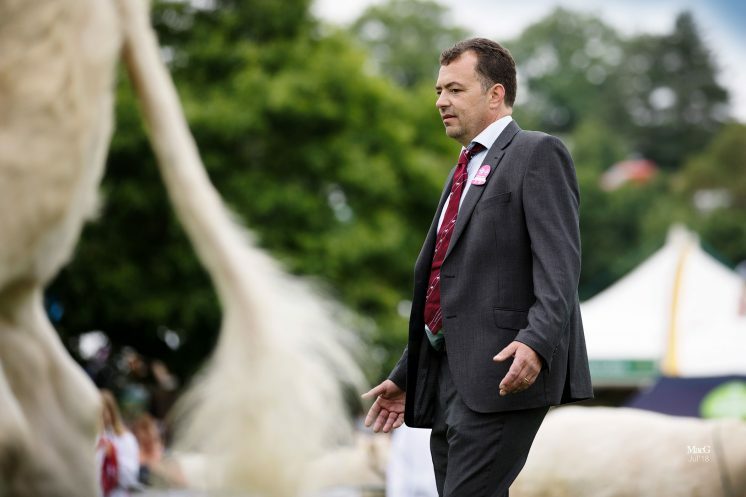 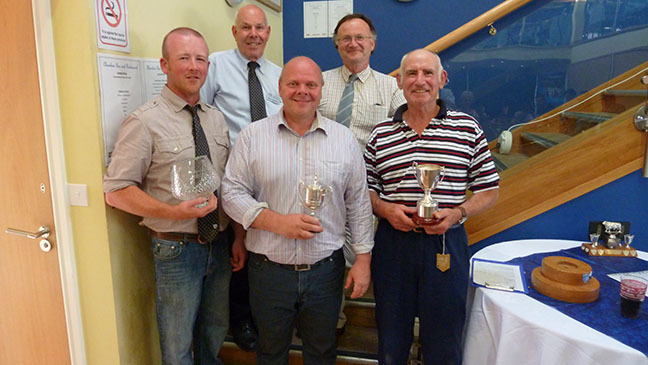 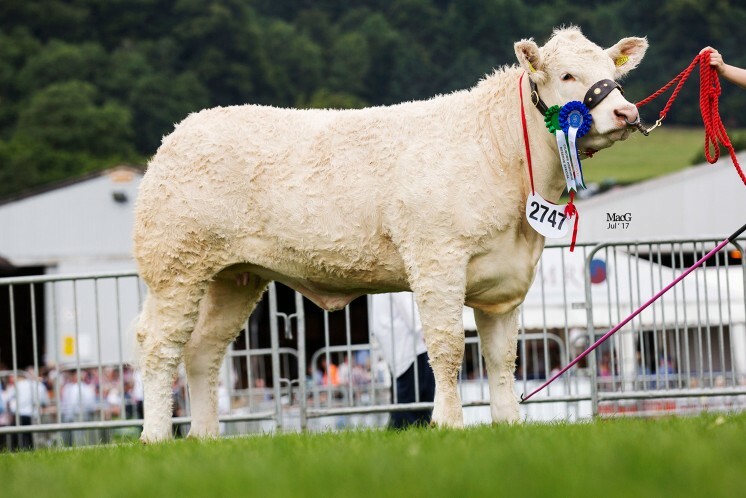 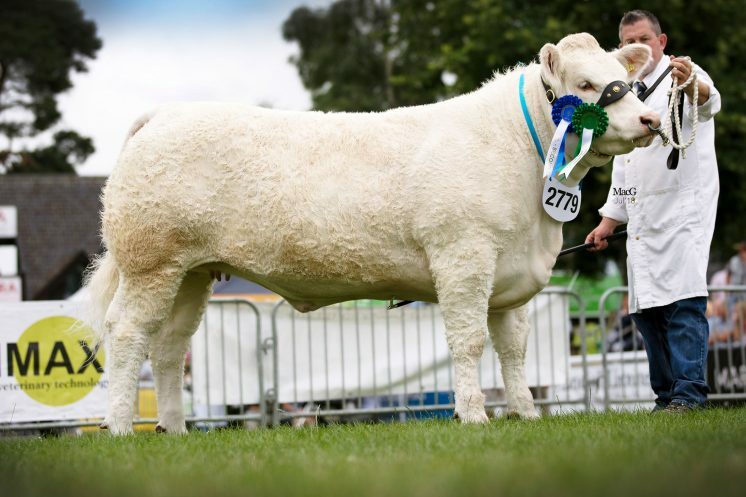 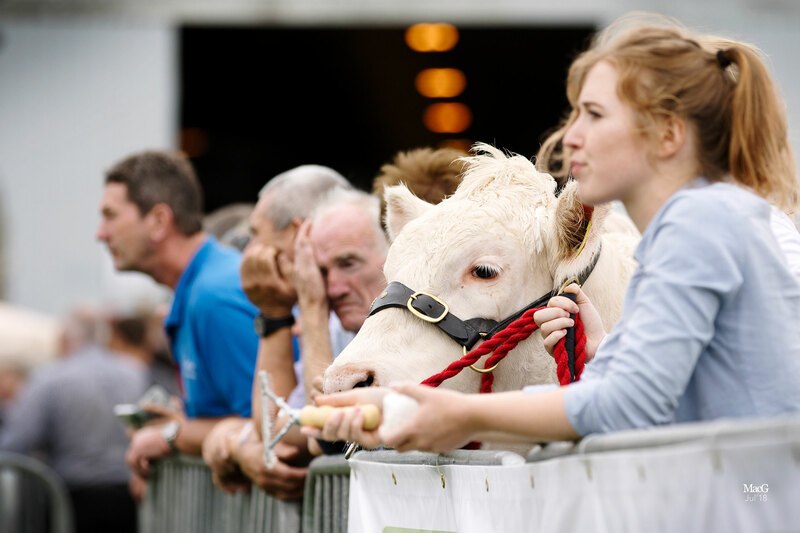 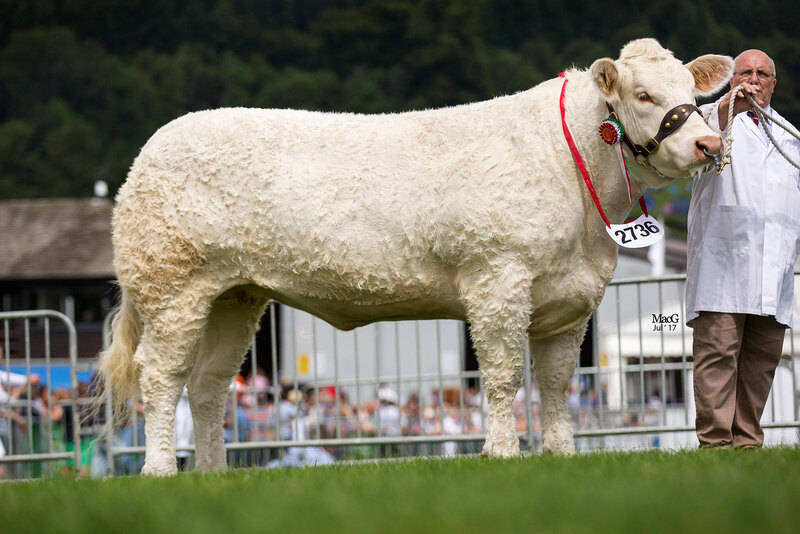 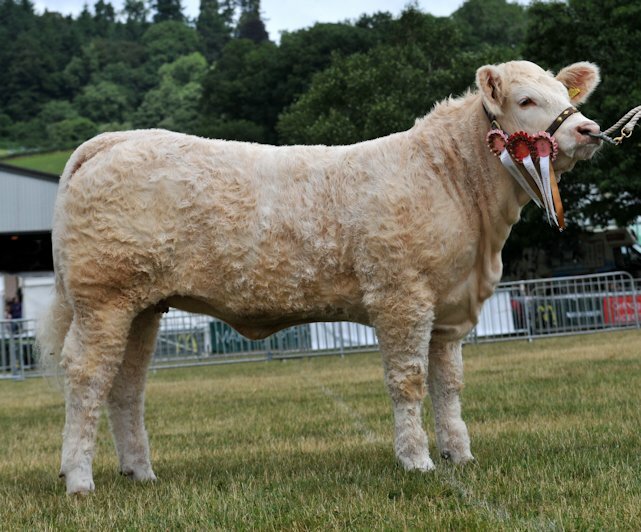 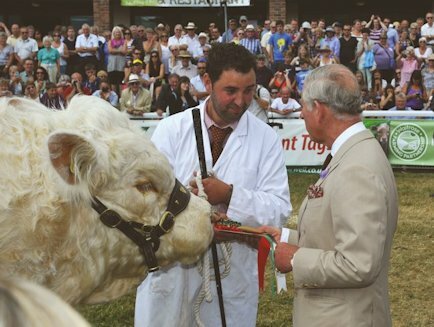 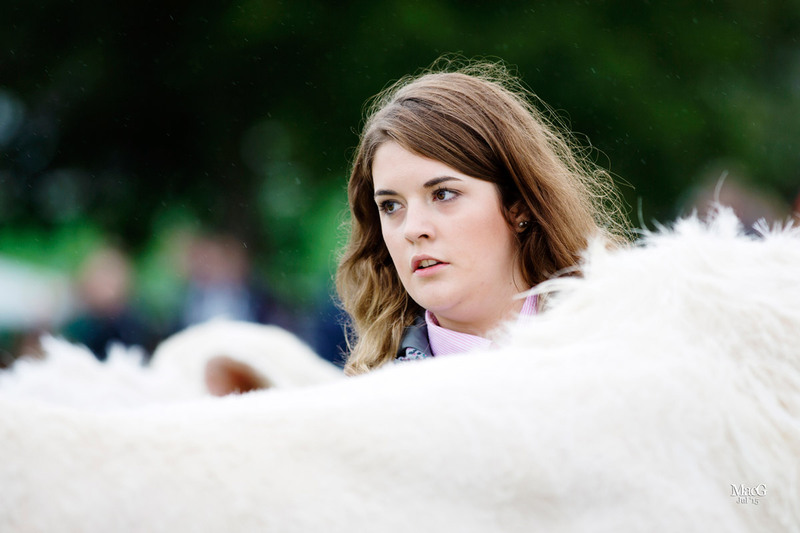 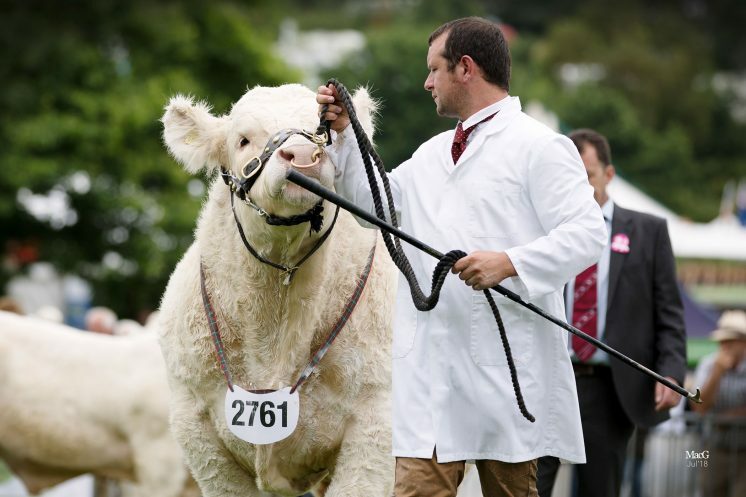 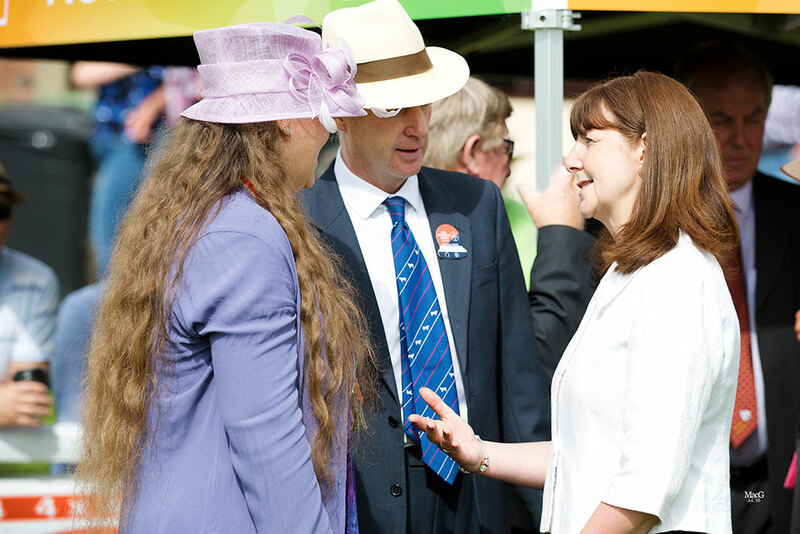 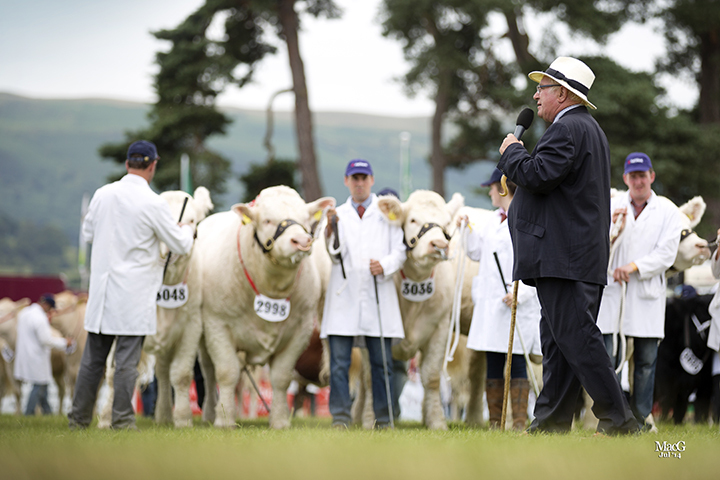 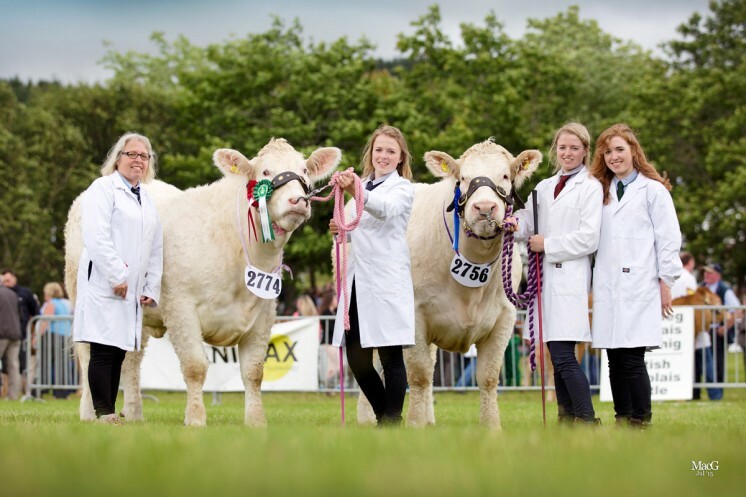 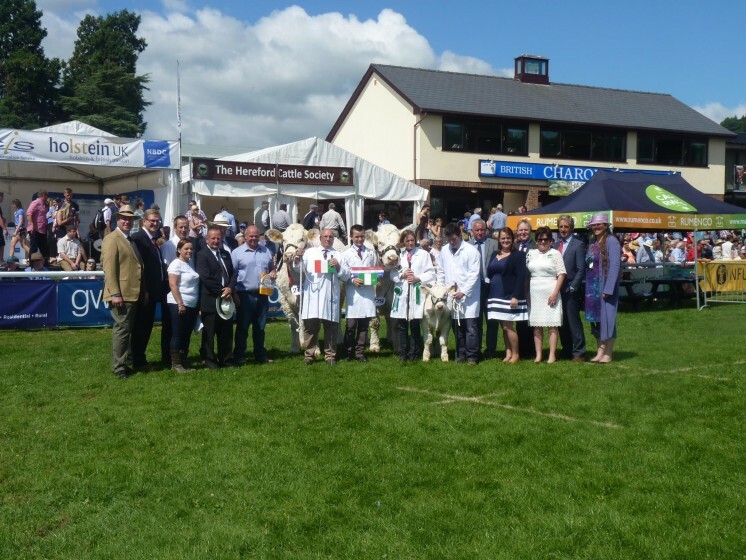 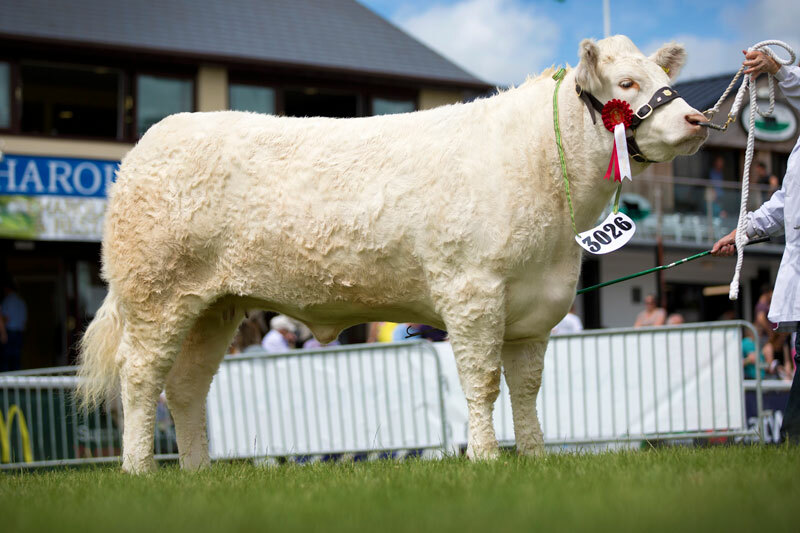 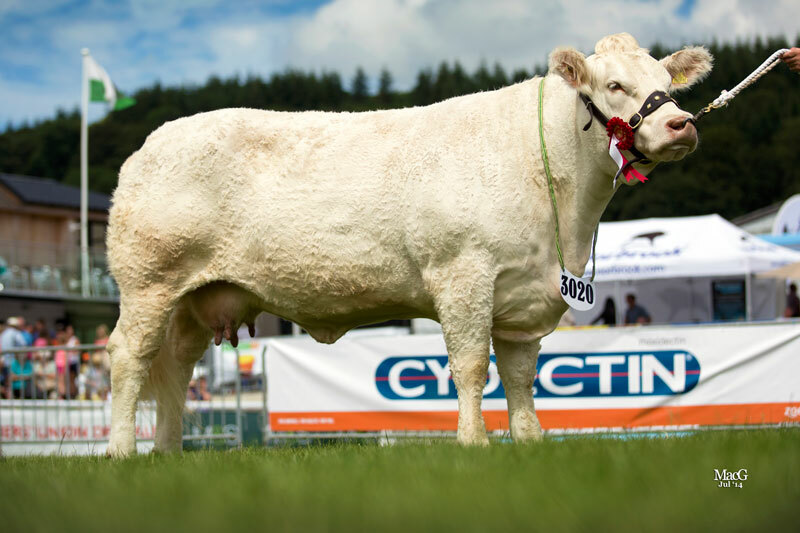 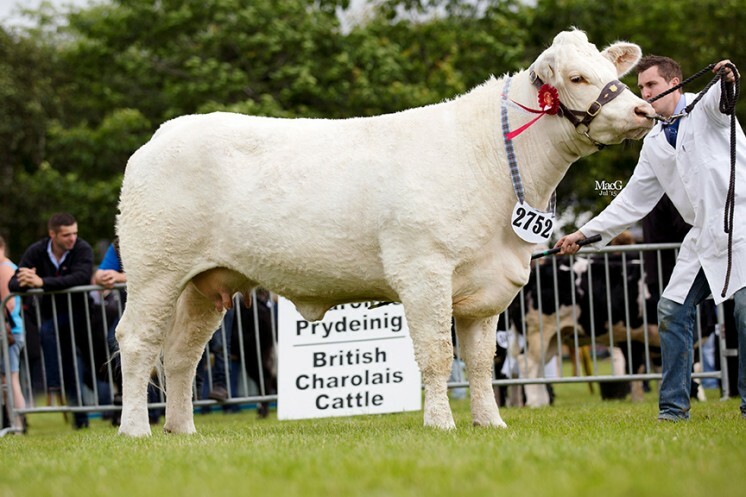 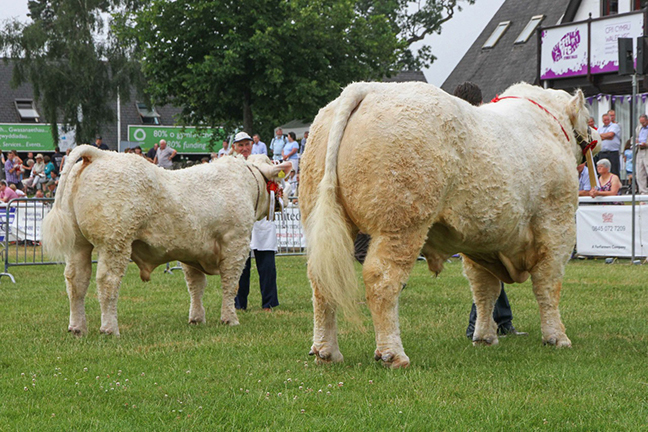 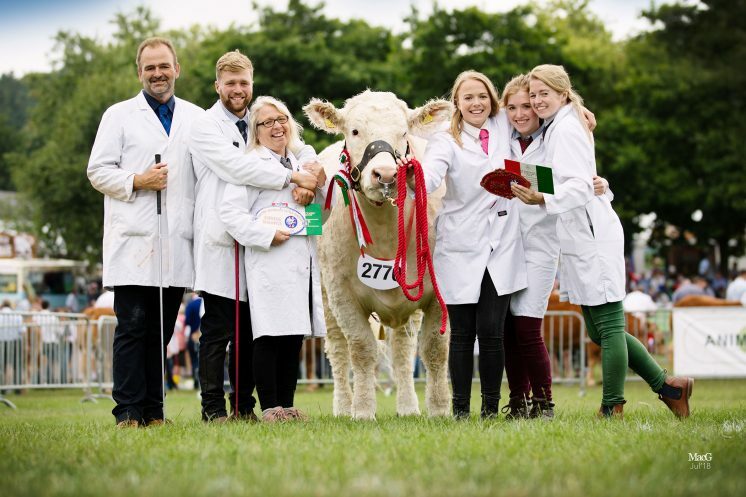 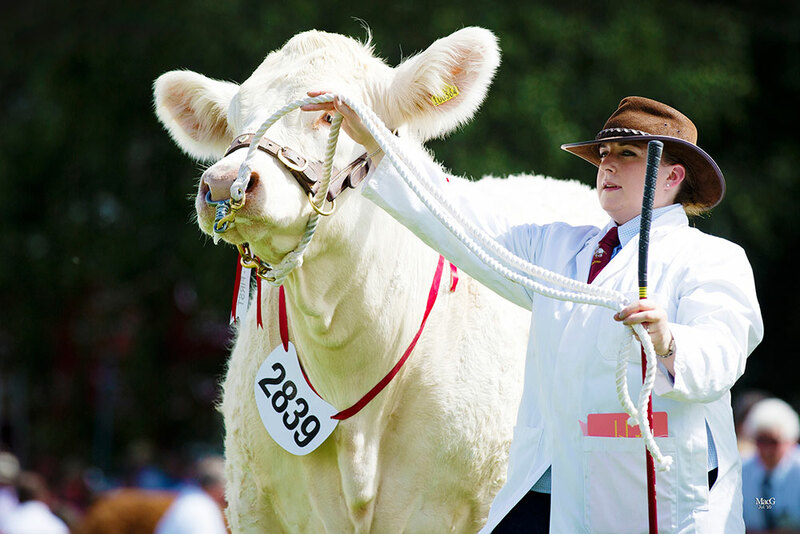 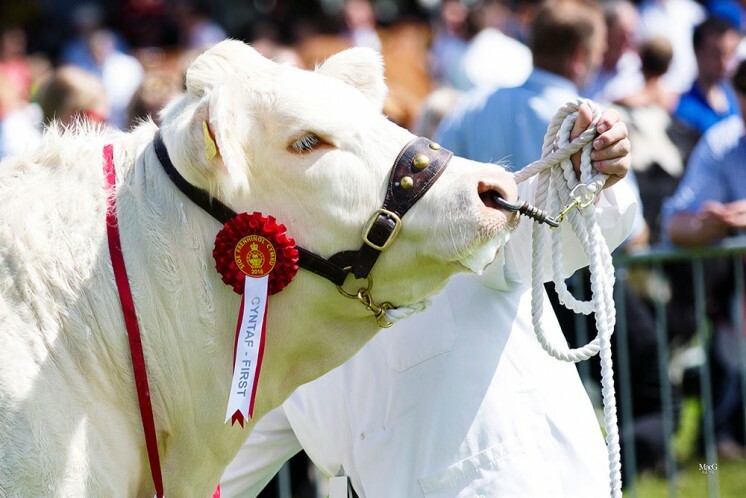 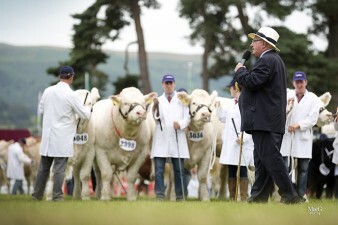 Charolais triumphed at the Royal Welsh 2013 by taking the top two interbreed beef awards. 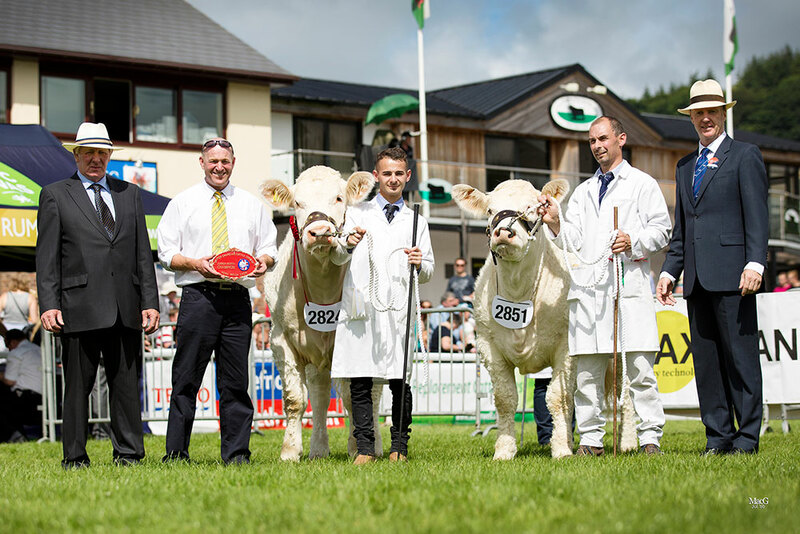 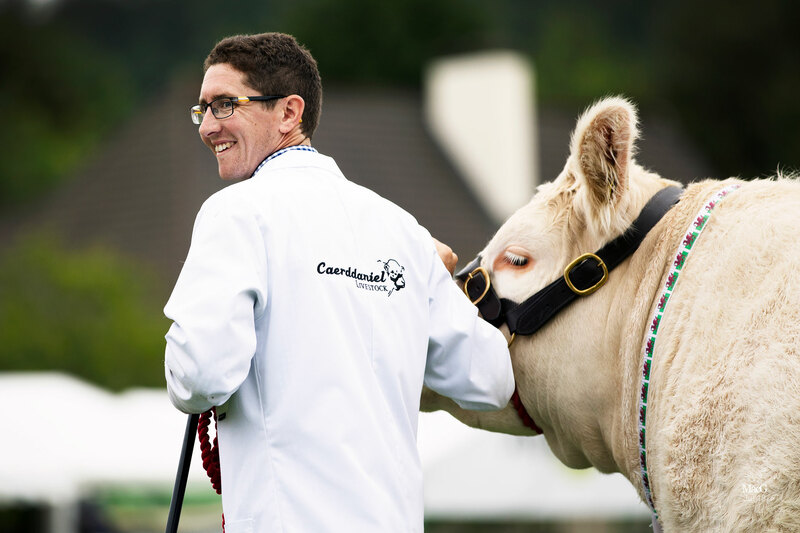 Three year old Barnsford Ferny kicked off the week in fitting style by securing the individual supreme award while two days later he teamed up with the heifer, Coolnaslee Gigi, to be awarded the champion interbreed pairs. 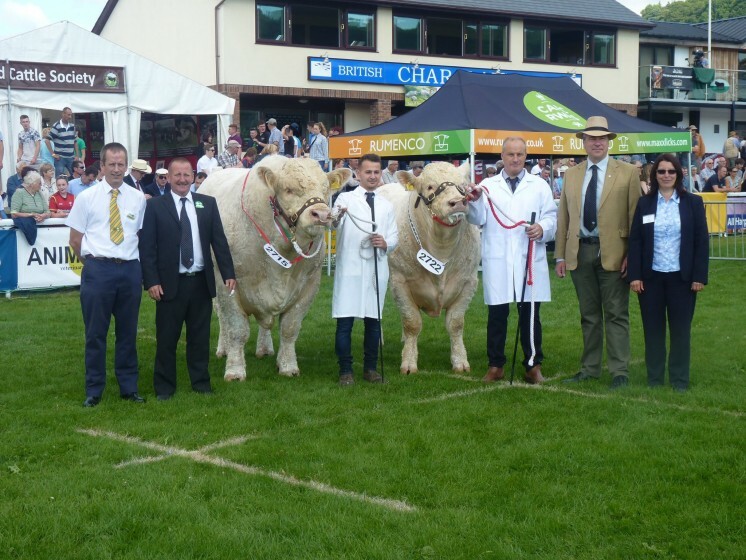 Earlier on in the Charolais ring, Ferny had won the best male and supreme breed honours while Gigi was placed best female. 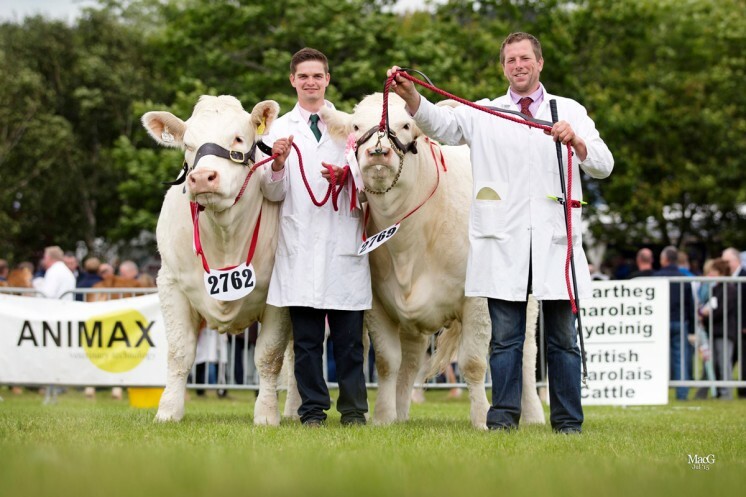 Both entries were exhibited by Charlie Boden, Stockport and turned out by Nairn Wyllie and Gerwyn Jones. 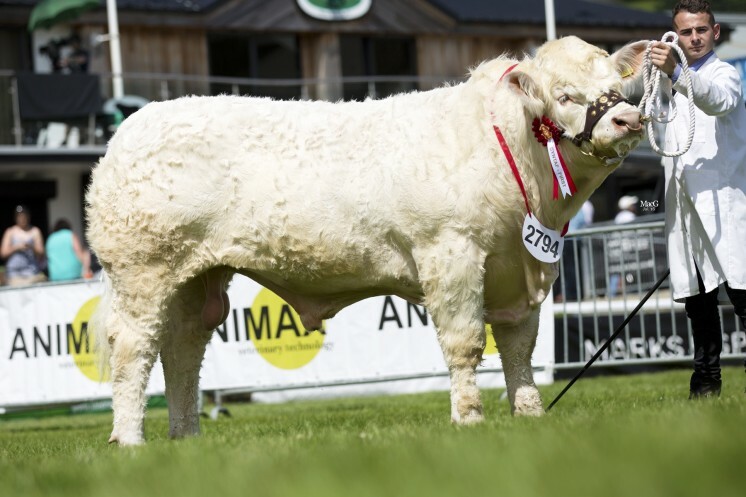 The much admired Barnsford Ferny was making his debut in the summer show ring after he was sold to Boden and Davies at the October 2011 Stirling sale for a then breed record price of 70,000 gns. 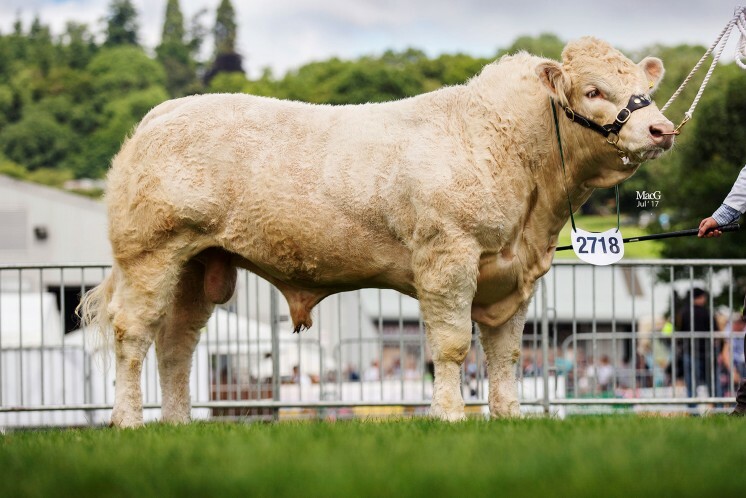 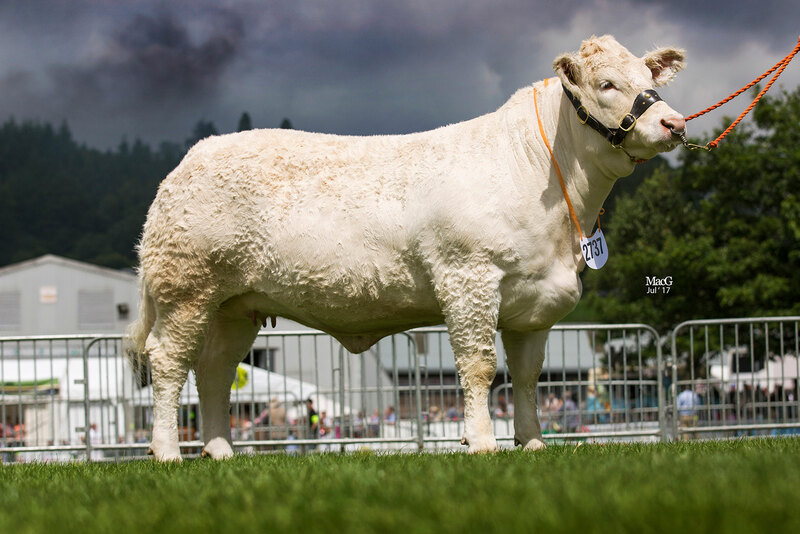 Sired by the 30,000gns Balmyle Bollinger and out of the Elrick Uranium sired Alwent Broom he was the first bull ever to be bred and sold by Tom and Sheena Gatherer, Inchinnan, Glasgow. 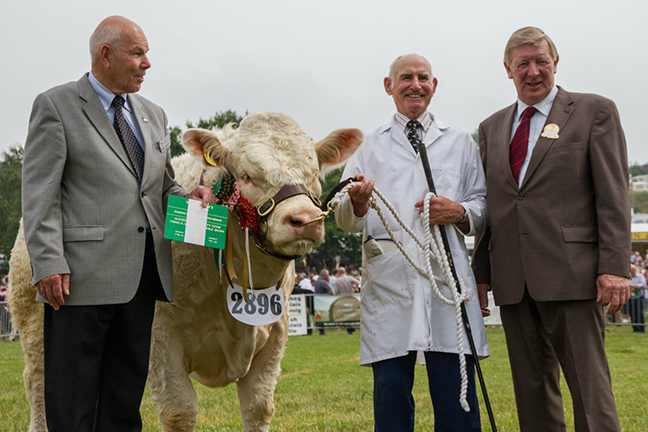 Ferny was tapped out of the interbreed line up by judge, Richard Hassell, saying he was the best Charolais bull he has seen during his judging career. 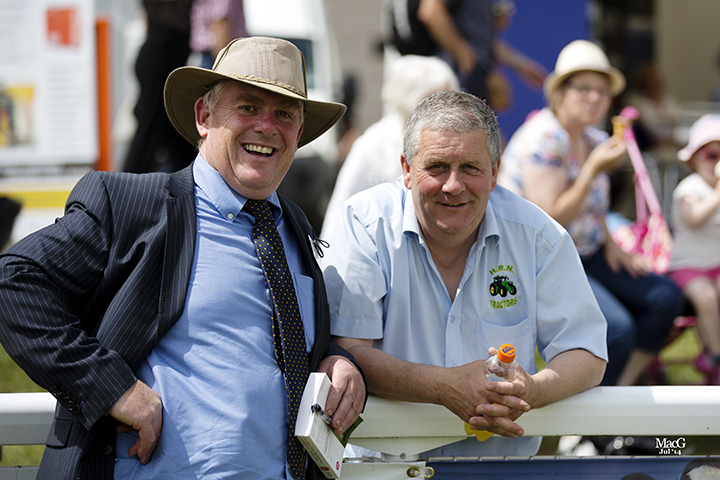 Team mate. 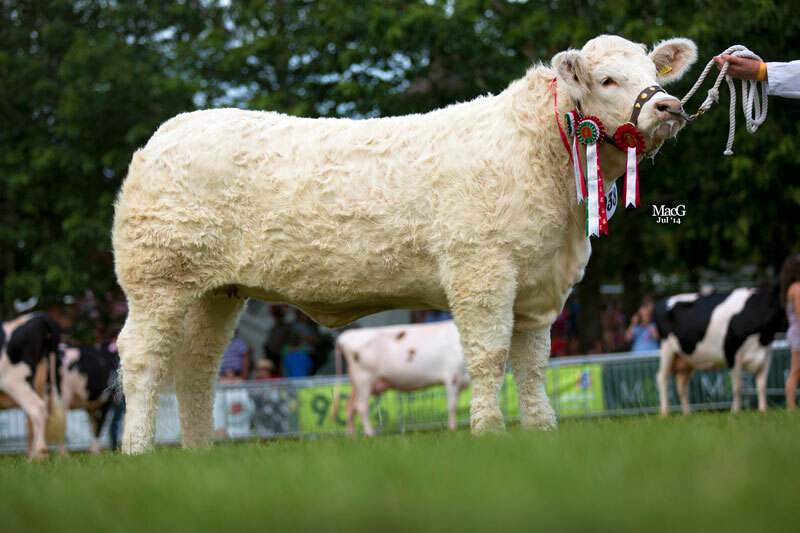 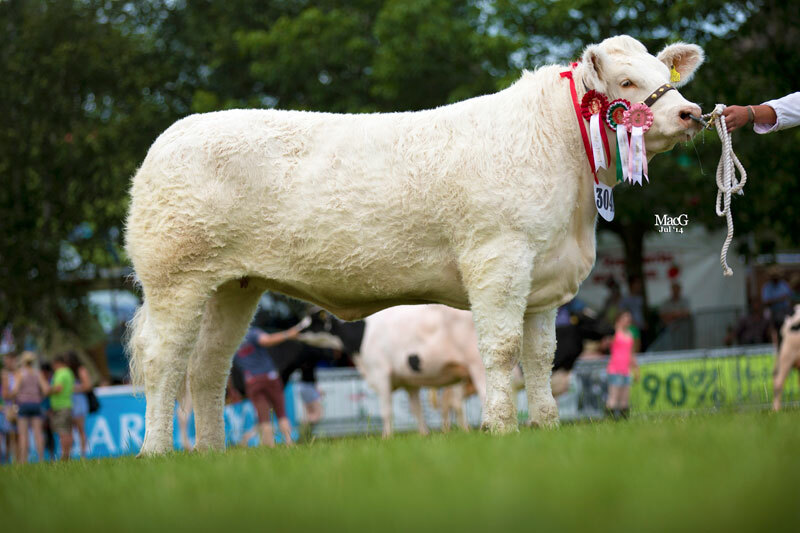 Coolnaslee Gigi was a two year old year old in calf heifer secured for 4,400gns earlier this year in Dungannon by Mr Boden to join his 50 cow herd. 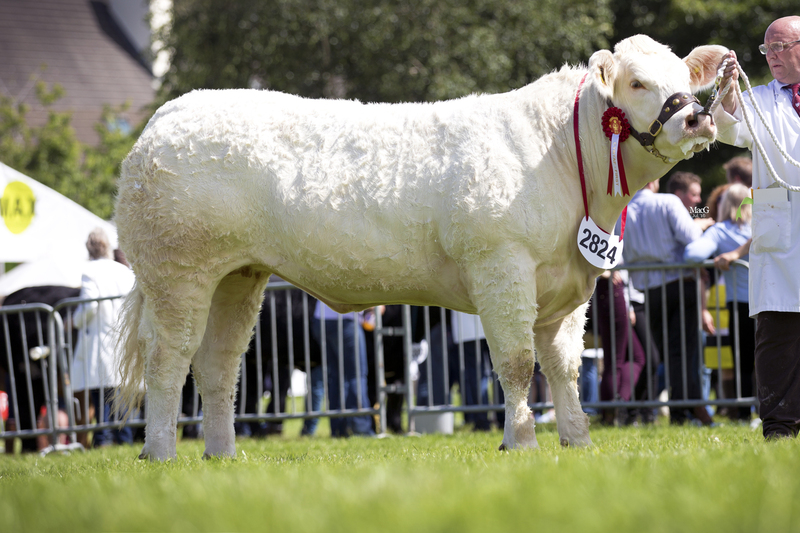 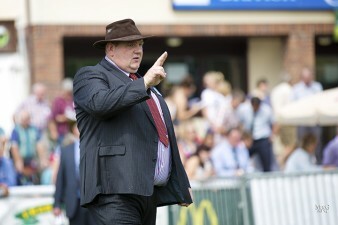 Sired by Mr Boden’s Sportsmans Columbo which he sold in Perth for 55,000gns to Gigi’s breeder, Gilbert Crawford, Maghera. 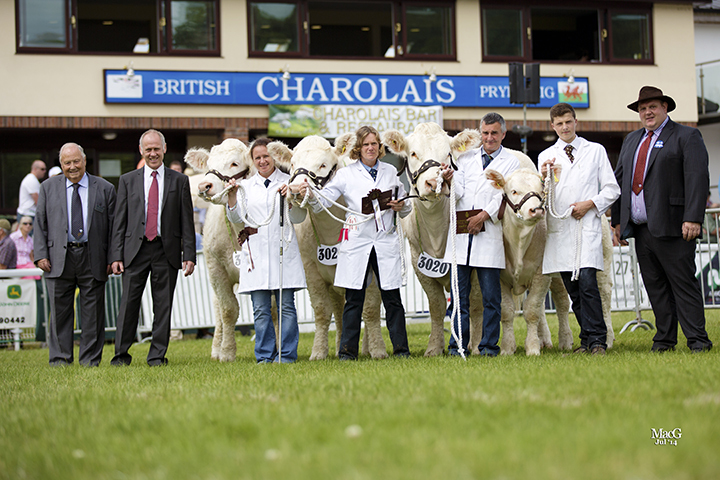 Charolais breeders’ success at the show didn’t stop there. 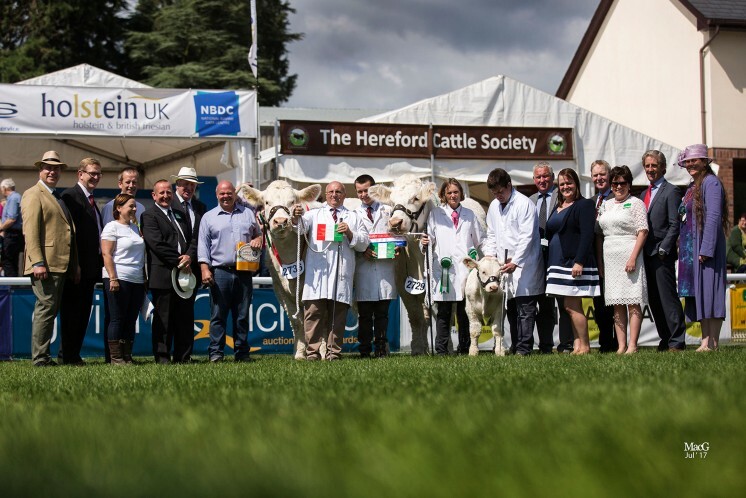 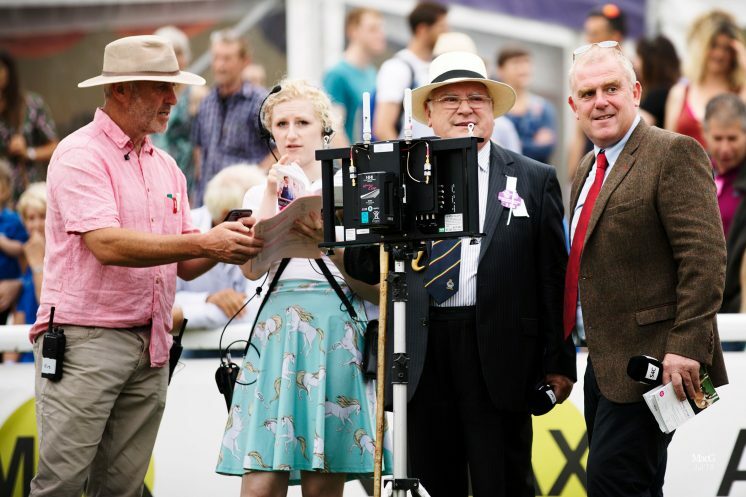 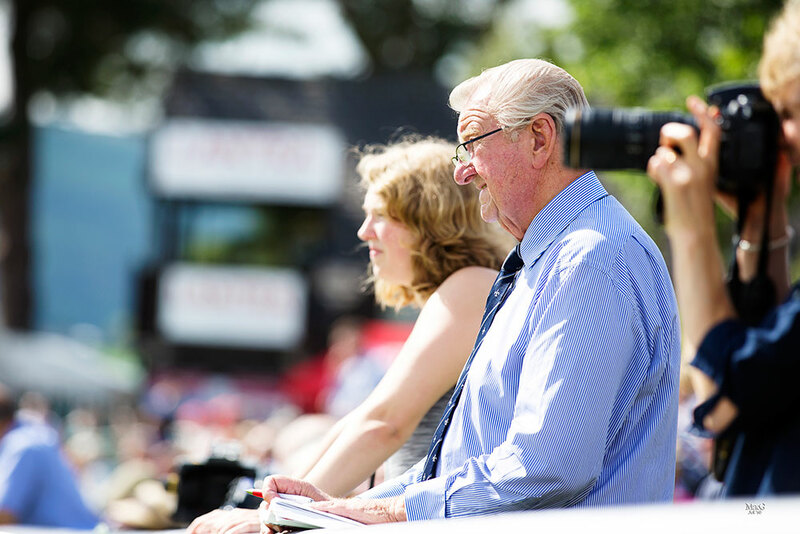 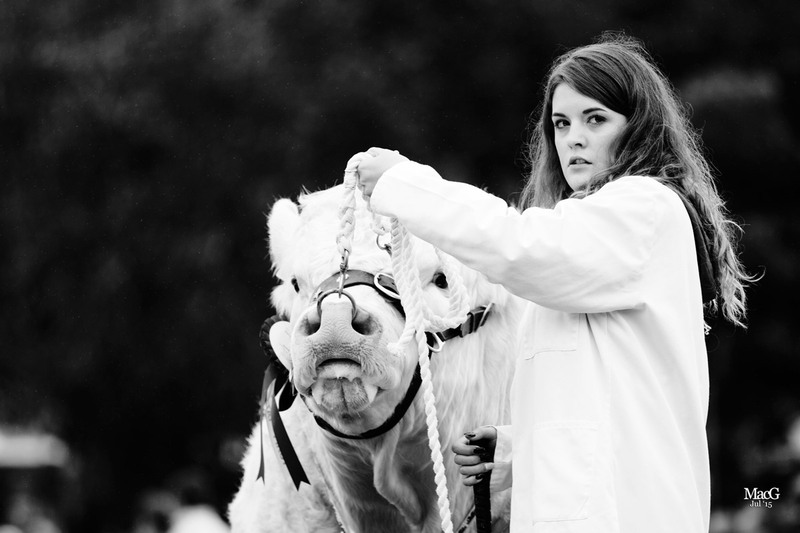 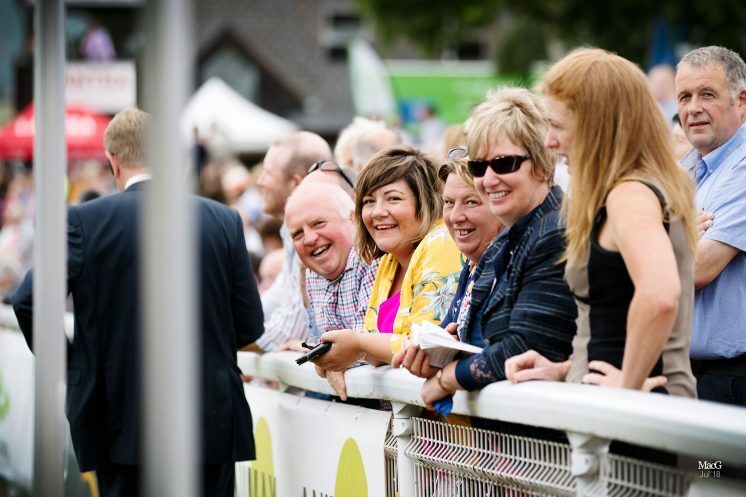 Ferny and Gigi teamed up with Mr Boden’s Sportsmans Hiccup, Kevin Thomas’ Moelfre Georgina and Mike Brown’s Charbron Goddess to be placed in reserve for the best team of five.